If you feel inspired to help Kiva yourself (and you really should) or want to see more of the work they do, make sure you check out our blogpost here to find out why we LOVE helping them or go straight to their website to get lending. Every little contribution goes a very long way. Here is a little video to show you what a typical day looks like for the team at Quest Coffee Roasters. When the weather starts warming up, we start to see the demand for cold pressed and iced coffees increasing at a rapid rate. Not everyone enjoys a hot coffee on a hot day but we are all in search of that caffeine fix to keep us going. We have a few versatile and affordable home brewing options to choose from at Quest. 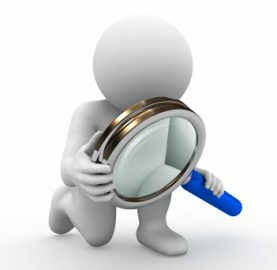 Rather than leaving you confused about which product is the right one for you, we have put together a little information on each to help you make the right decision. That’s it in a nutshell. The acidity is lower in cold pressed coffee due to it being brewed with cold water for anywhere between 8-12 hours. Some prefer iced coffee and some prefer cold pressed, so it really comes down to individual taste preference. We have 3 cold brew/iced coffee brewing products to choose from at Quest that will help you make consistently delicious coffee at home. The Mizudashi is an elegant looking cold brewer makes around 8 cups of coffee using the 1ltr or 5 cups in the 600ml. Your brew will last around 1-2 weeks in the fridge. Grind your coffee (between medium and course). You will need 80 grams of freshly roasted organic Quest coffee if using the 1ltr Mizudashi, or 50 grams if you are using the 600ml Mizudashi. Pour in filtered water, allowing time for the grinds to soak. Leave it to brew between 8-12 hours (maximum 24 hours). The longer you steep, the more flavour your coffee will have. Remove the basket and pour the cold brew into a cup with ice. As it is a coffee concentrate, using ice will bring the coffee closer to the flavour we are used to. 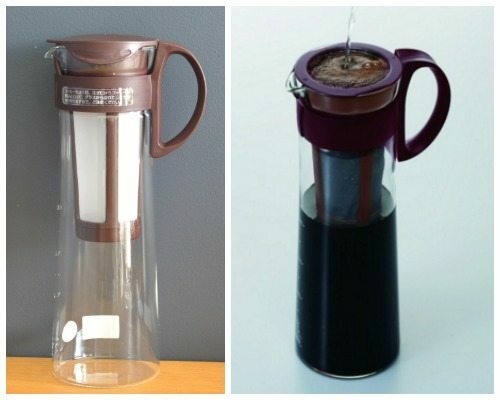 This home brewing method is great if you prefer delicious iced coffee in under 5 minutes. You can also make hot coffee with the Fretta by simply removing the ice compartment, thereby allowing you to use it all year round. The V60 Fretta contains a V60 dripper, a dispersion filter, an ice chamber that sits inside a 700ml glass carafe and 10 paper filters (02 size). The dispersion filter and ice chamber allow an even distribution as the coffee slowly drips over the ice, cooling the coffee and filling the carafe. Add 300 grams of ice to the ice compartment. Wet the paper filter prior to adding the coffee to avoid any residual “paper” taste. Add the desired amount of coffee grounds (medium grind). We recommend using 22 grams of coffee but again, you can adjust this according to taste. Pour the boiling water (350ml) slowly in a circular motion ensuring that you allow it to bloom for 30 seconds before pouring the remaining water slowly and evenly. Remove the V60 cone and filter after 3-4 minutes, the stir the ice chamber to mix and melt any remaining ice. When the ice has melted, your iced coffee is ready to enjoy! 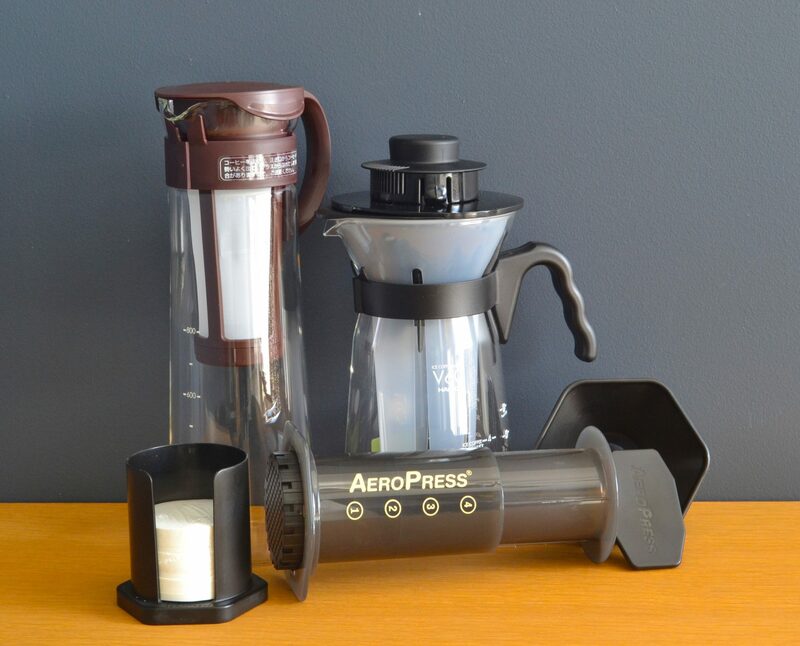 If you enjoy both iced coffee and cold brew, as well as a delicious hot coffee during the winter months, then the Aeropress is probably your best option. Not only is it versatile by allowing different brewing methods, but it also makes the perfect travel companion. When making cold brew or iced coffee, you would use the inverted brewing method as pictured here. Most people have heard of the inverted brewing method. It is a preferred method for many because you create a full immersion brew. Full immersion tends to produce good body and depth to the cup, while being consistent and easy. For the best way to brew hot coffee with the Aeropress, see our blogpost here. For making cold brew, you need the Aeropress, a filter and a strong glass/mug, freshly ground organic Quest coffee and cold water. If you make an iced coffee, then you would use boiling water instead of cold water. Partially assemble Aeropress upside down (see image on the far right), sticking the plunger in about 1cm and rest it on its plunger side. Now add the coffee (medium grind). For iced coffee, you would use 15 grams of coffee and for cold brew, you would use 40 grams of coffee. The amount of coffee is increased with cold brew as you are making a concentrate. You would need 150ml of water for both methods. Time to pour in the water. Simply pour the 150ml of filtered water into the Aeropress (hot water for iced coffee and cold water for cold brew). Stir gently for the first 10 seconds, allowing the coffee to steep and extract for up to 60 seconds. If you are making cold brew, you would allow it to steep at room temperature for 8-12 hours (maximum 24) depending on desired taste. Add the filter – make sure you wet the filter first before placing it in the filter cap. Now you can add the ice (big chunks of ice work best). When you’ve filled the cup with ice, carefully flip the Aeropress over and place on top of the cup/mug. If you are making iced coffee, be sure to exercise extreme caution with this, as you would be dealing with water that’s just off the boil. Now you can start plunging slowly (this should take around 30 seconds). When you have finished plunging, keep a bit of air between the coffee and the plunger – this will keep the bloom in the Aeropress to avoid bitterness. Add milk and sweeteners (if desired) and enjoy! If you have any questions about the methods above or would like to view the product more closely, our friendly baristas are more than happy to help. There are many people who love kick starting their day with a delicious cup of organic Quest coffee however, ending it the same way can cause disruptive sleep patterns for some. 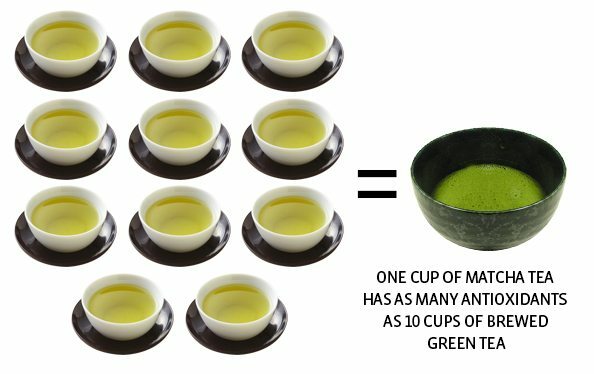 So do you opt for a cup of herbal tea or something packed full of health benefits? The Sol Spice Golden Milk Turmeric Blend is the latest health craze and we can see why. Not only is to packed full of flavour, but it has a multitude of health benefits and medicinal healing properties to make you want enjoy this beverage day in, day out. Before bed, during the day, at the start of the day, twice a day; the preference is entirely up to you. 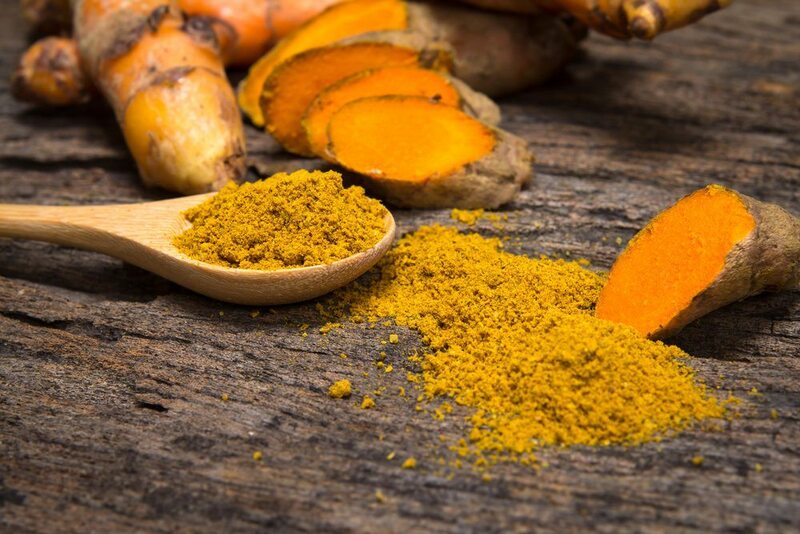 This beverage was traditionally known as ‘golden milk’ and turmeric has been enjoyed and used for centuries in Ayurvedic practices by healers all over the world. Many cultures use turmeric as a healing spice for its capacity to alleviate anything from the common cold or flu, sore throat and stomach aches to healing wounds thanks to the antibacterial and antimicrobial benefits it has. The blend of amazing flavour and spices makes it the perfect winter companion, warming you up from the inside out. Next time you are in our James Street café, make sure you do yourself a favour and try one of these incredible beverages. We like to describe it as a “man’s chai…bold and delicious!” We have 100 gram take home packs available in store and online (makes 33 servings) or, if you love it as much as we do, you can choose the larger 250 gram take home pack (makes 100 servings). Having this blend available at your fingertips allows you to enjoy this simple, life changing drink whenever you like. Cold brew coffee rose in popularity a few years back and, much like cold-pressed juice, we believe it is here to stay. Most people enjoy their coffee hot, but having cold brew at your fingertips enables you to enjoy coffee on the hottest of days. Some even enjoy cold brew all year round. Cold brew is more popular than iced coffee due to the difference in taste and acidity. The acidity is lower due to it being brewed with cold water for anywhere between 8-12 hours. 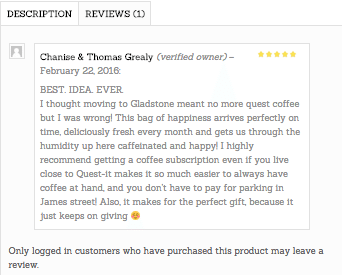 80 grams of freshly ground, roasted organic Quest coffee. If you are using the 600ml Mizudashi, then you would add 50 grams of freshly ground coffee. You can adjust this according to taste. It is really important to use filtered water. Coffee is over 98% water and, if you use ordinary tap water, the flavour would be adversely affected. Grind your coffee; the grind should be between medium and course. If you use a finer grind, you will end up with sediment in your brew. Click here to see why we prefer grinding coffee on demand. Pour in the filtered water, allowing time for the water to soak the grinds. Leave it to brew between 8-12 hours. Most people prefer to allow it to brew for 12 hours. The longer you steep, the more flavour your coffee will have. Some say that leaving it to steep for 24 hours will extract all the flavours to a maximum level. It’s up to you really. Remove the basket and pour the cold brew into a cup with ice. As it is a coffee concentrate, using ice brings the coffee closer to the flavour we are used to. The 1ltr Mizudashi will make 8 cups of coffee and the 600ml Mizudashi will make 5 cups. Your cold brew will last up to about 1 week in the refrigerator also. The Mizudashi is definitely one of those ‘must have’ brewers. Not only does it deliver a rich and flavoursome cold coffee with limited acidity, but it looks sleek and elegant too. 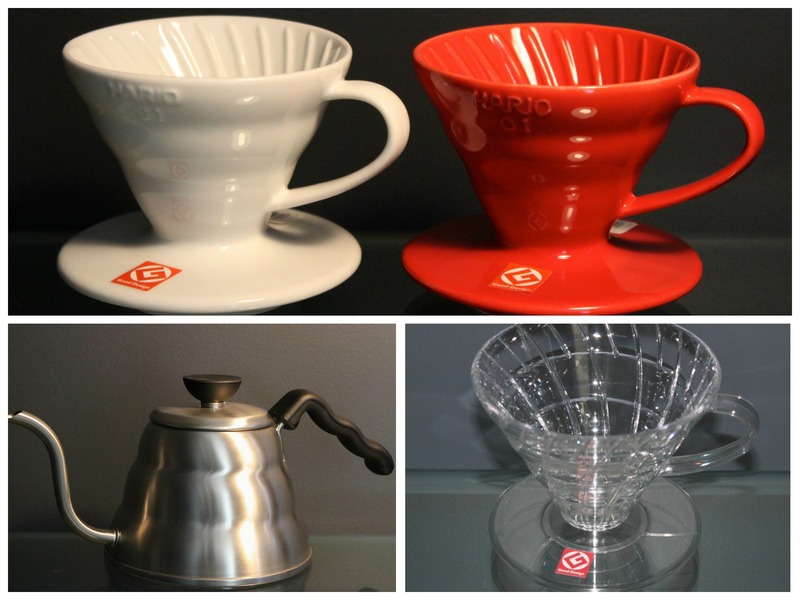 Here is a cool ‘how to’ video from our friends at Hario. If you follow our regular updates on Kiva you might have guessed we have been supporting Kiva for a little while, as a matter of fact this month we are celebrating our 1 year anniversary helping this fantastic organisation. 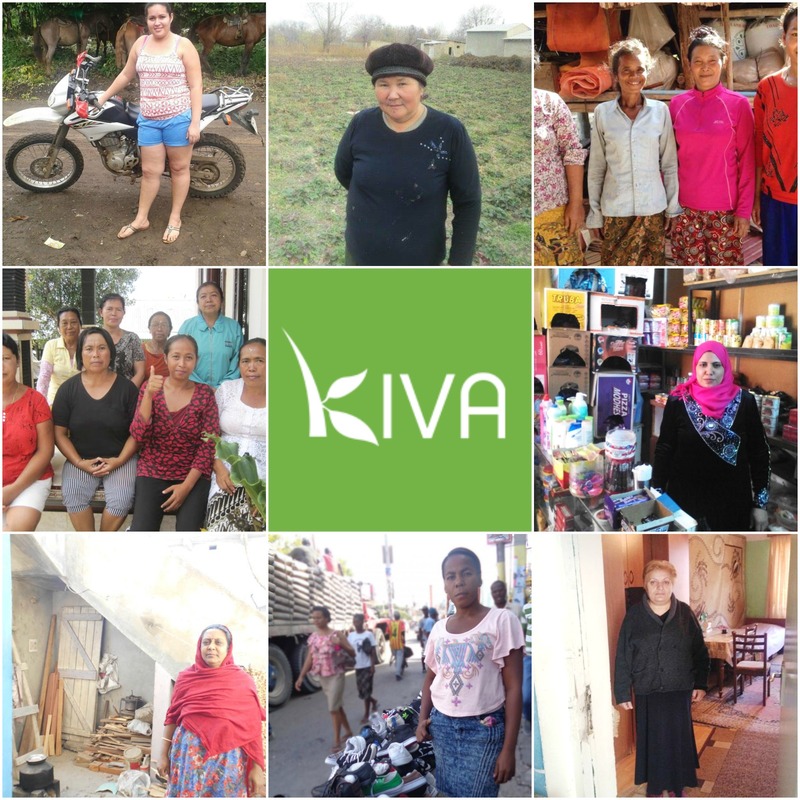 If you feel inspired to help Kiva yourself (and you really should) or want to see more of the work they do, make sure you check out our blogpost here to find out why we LOVE helping them or go straight to their website to get lending. Every little contribution goes a long way. Whether you have gone to the trouble of obtaining great quality, freshly roasted coffee beans from us at Quest Coffee Roasters, or the ease of one of our ever so popular coffee subscriptions, then you will want to know the best way of storing your beans. Our amazing baristas are asked this question often. Let’s face it; there is a lot of conflicting information out there, so we are going to simplify it for you. Certain conditions, like air, moisture, heat and light (in that order) will affect the freshness and flavour of your beans, so proper storage is vital to great tasting coffee. The full flavour of coffee is at its best a few days after roasting and starts to fade after a few weeks. Most of the beans found on a supermarket shelf, particularly the pre-ground variety, are quite flat and far from awesome. 1. 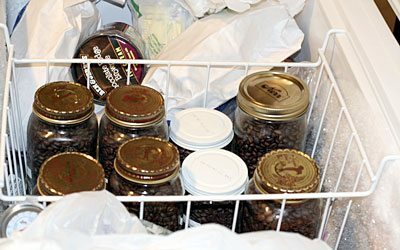 Keep your beans in an airtight and dark container. There are many storage devices out there, but the one we love is the Friis Storage Canister. It is simple, stainless steel, has a vault which exhausts trapped CO2 gas and does not allow air in. 2. If you can’t store in a container, then keeping your beans in a good quality re-sealable bag will help keep them fresh. Remember that not all bags are created equal though. We would only recommend the packaging used at Quest, as each bag has a valve that will allow the gas to escape and block air from entering. 3. Avoid sunlight or direct light. This will help keep the temperature stable. 4. Avoid heat and steam; especially hot ovens, brewers, steamy kettles, etc. A cool, dark place is best and we recommend the cupboard for storage. 5. We recommend brewing your beans within 4 weeks for whole beans and 2 weeks for pre-ground beans. If you were unable to brew them within that time, then we would recommend putting your beans in the freezer. See below for the fridge -v- freezer debate. 6. It is always better to store your beans as whole beans, as opposed to ground beans. For the best tasting coffee, we recommend grinding your coffee just prior to brewing, whenever possible. See our previous blog, “Why Grind As You Go…” for a more detailed explanation. Fridge or Freezer – Are either of these options a good idea? 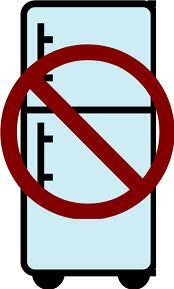 The fridge is a definite ‘no-no’. The problem with the fridge is the amount of moisture and the temperature change that occurs when your beans are taken in and out. This causes a condensation build up. In addition to that, the fridge is not cold enough to keep your beans fresh. The beans will deodorise and soak up the humidity (much like baking soda would), especially if they are ground. Imagine the negative impact that would on the final taste. If you need to store your beans for longer than the recommended time, then we suggest the freezer as your next best option. Here are a few tips to prevent your beans from becoming ‘burned’ from the freezer. * Store the beans in a deep freezer (if you have one), merely because it would be opened less than a fridge freezer. * Store your beans in their original packaging, inside a zip lock freezer bag or an airtight container. If you use a zip lock freezer bag, you should remove as much air as possible before sealing. * There wouldn’t be a negative impact on the beans placed in your freezer, as it is dark and opened less regularly than your fridge. * If you are going to store them in the freezer, ensure that you do this within 2 weeks of purchase. Whole beans can be kept in a freezer for approximately 2 months. 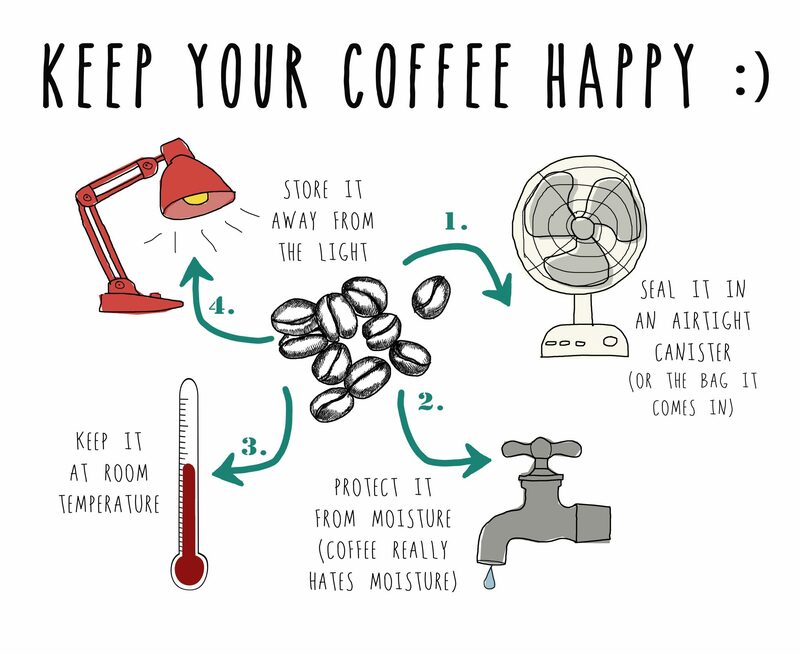 * Ensure that the beans are allowed to come down to room temperature, while still sealed, to avoid condensation. Never return previously thawed beans to the freezer. The bottom line is that you wouldn’t consider storing beans in the freezer unless you were living in a remote area and ordered your beans in bulk, eg. 2-3kg at a time; or, if you were going away on holidays and needed to keep them fresh while you were away. Otherwise, the kitchen cupboard, using our storage guidelines above, would be a perfectly suitable place to store your beans. Fresh is always best! Buy what you would drink within 10-14 days so that you always have fresh beans in the house. Here is our monthly Kiva update for you! We are super proud to share with you that with your help, we have now lent a total of US $1600, helping a total of 59 people/groups in 48 different countries so far. Whether you call it a pour-over, filter or dripper (manual dripper), the dynamics for brewing the perfect coffee are virtually all the same. As there is a large single hole, you are able to alter the flavour slightly depending on the speed that you pour the water into the pour-over. Rinse the filter with hot water while inside the ceramic dripper; this will get rid of the papery taste, as well as preheating your dripper and the server. If you don’t heat the filter, the temperature of the water will decrease significantly and your coffee won’t extract properly. Grind your coffee beans and put them into the filter, ensuring the grinds are as level as possible. We can grind coffee to your desired liking but it is better to grind as you go. Click here to see why. Pour double the amount of water as there is coffee in your Tiamo dripper and let it bloom for approximately 1 minute. Then start pouring in circles; the water flow and the size of your grind will affect your pouring time but, generally, it should take between 2-4 minutes to brew. Wait patiently as the water drips through. Now you can sit back and enjoy the perfect pour-over made by you! One of our hottest selling products in our online store and our James Street, Burleigh Heads cafe are the popular Bialetti Aluminium and Stainless Steel Stovetop Espresso’s. As you may know, we also stock the seals (gaskets) and filters, which are very affordable and easy to replace. As we often get asked how to replace the seals, we have put together simple step-by-step instructions, together with pictures below. The process is exactly the same for aluminium and stainless steel stovetops. 1. Make sure you have the replacement rubber seals ready before you start. You can purchase aluminium and stainless steel replacement seals and filters here. 2. Carefully remove the rubber seal from your stovetop. If the seal is hard to remove, gently use a blunt bread and butter knife (rounded at the top so you don’t damage your stovetop) or a pair of tweezers. Be careful that you do not bend the metal areas surrounding the seal. 4. Clean the stovetop thoroughly with soft detergent and hot water (not in your dishwasher) then towel dry when done. 5. Install the new seal. Please note that the metal filter is installed with the bumpy side up so the seal sits neatly on top of that. 6. Once you have installed the new seal, re-assemble the stovetop gently ensuring that the seal doesn’t get pinched in between the metal parts. 7. Boil some hot water only to test the seal once it has been re-assembled. Enjoy coffee with your T-Rex! Enjoy your stovetop espresso! 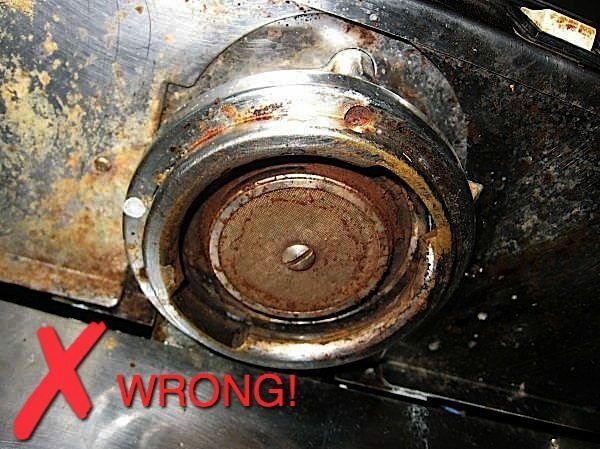 Please remember that you need to replace your seal every 12 months. 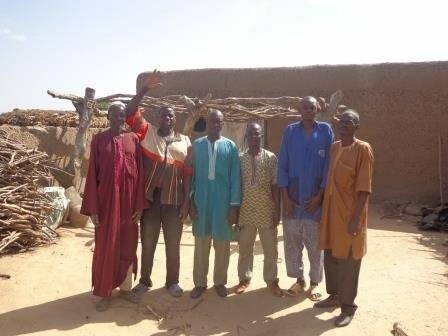 Here is our monthly Kiva update for you! We are super proud to share with you that with your help, we have now lent a total of US $1350, helping a total of 49 people/groups in 41 different countries so far. Whether you have see the sign in our Burleigh Heads cafe or have glanced at the subscriptions while scrolling through our online store, you may be wondering why you would pay for a coffee subscription. Why subscribe instead of just ordering when you need coffee? What about the current loyalty card system? Well the great news is that nothing changes with our loyalty card system! We will continue to keep track of your ordered beans and reward you with a FREE 500g bag of beans when you are eligible. How do you set up the subscription? You just need to decide the subscription you would like; then ordering is simple. Sometimes the hardest decision is which single origin or blend you would like. Some people have a favourite bean, while others enjoy a little variety. For those of you who like to change it up a bit, you may be interested in the Roaster’s Choice option. This gives you the element of surprise, allowing our master roaster to select a different bean for you at each delivery. 3. Make sure the order details are correct. You will see that the shipping is ‘Free’ if you are just ordering a coffee subscription only. Then ‘Proceed to Checkout’. 4. Enter your Billing Details, ensuring that you make comments in the ‘Order Notes’ for any specific delivery instructions. 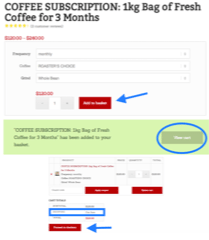 If the coffee subscription is a gift for somebody and you would like it shipped to a different address, be sure to tick the box and enter those details, together with any special notes that you would like us to add on your behalf. If you order Roaster’s Choice and prefer only a mild flavoured coffee, you can add this preference in here also so we can choose beans more to your liking. If you have not created an account, this is very easy to do. Simply select the ‘Create an account?’ box and enter your desired password in the field provided. This will allow you to log in each time you order instead of re-entering your details. 5. Select your payment option of either direct deposit, cheque or PayPal and then select ‘Place Order’. All you have to do now is leave the rest up to us! A simple, cost effective and splendid way to receive your coffee on time, every time. The only question left to ask is…WHICH SUBSCRIPTION AND BLEND OF COFFEE WILL YOU CHOOSE? Follow this link to order now! How does Altitude affect the flavour of your coffee? If you’ve purchased beans in our James Street, Burleigh Heads café, or visited our online store, you would have noticed that each bean has a general description and each of those mention the altitude that the bean is grown at. Looks a bit confusing right? We are going to help you understand a little more about how altitude affects the flavour of your coffee. In turn, this should help you find a coffee that you love (if you haven’t found one already). Altitude not only affects the shape and size of the bean but has a big impact on the taste of the coffee. In a previous blog of ours, ‘The 5 differences between Arabica and Robusta Coffee Beans’, we talk about how Arabica is grown at a higher altitude (600-2000m) in cooler sub-tropical climates, while Robusta can be grown at sea level, in warmer climates. How does altitude affect the characteristics of the bean? When you look at green coffee (pre-roasted), the physical appearance can tell a lot about the altitude it is grown at. It can be small and dense, the colour can range from jade to a blue or light green and the opening of the bean would be either straight, open, closed or zig-zagged. We won’t get too technical here but will say that a lower altitude bean would be partly opened and less dense. The colour would vary depending on the variety of the bean and the way it is processed. A higher altitude bean is a strictly hard bean (SHB) and would be closed and perhaps have a little zig-zagging. The bean would be very dense, which is a direct result of the slow rate of growth in a high-altitude environment. 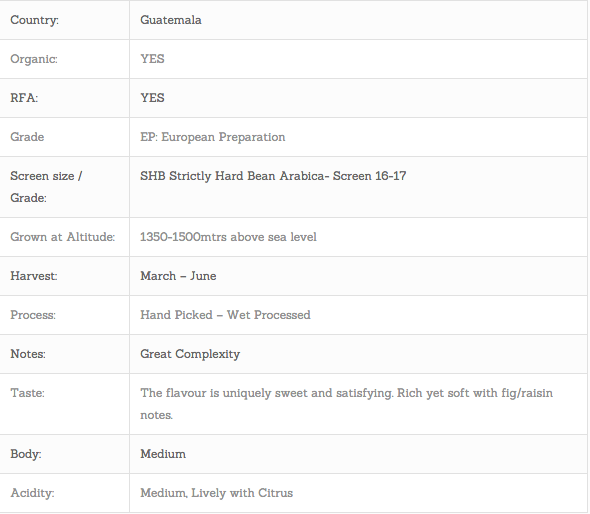 Low altitude coffee has a lower acidity and the flavour is often very mild and bland. On the opposite end of the spectrum, a high altitude coffee (the most sought after due to its taste) would produce a more acidic and aromatic cup of coffee which is full of flavour. above 5,000 feet (1,500m) – spicy, floral or fruity. 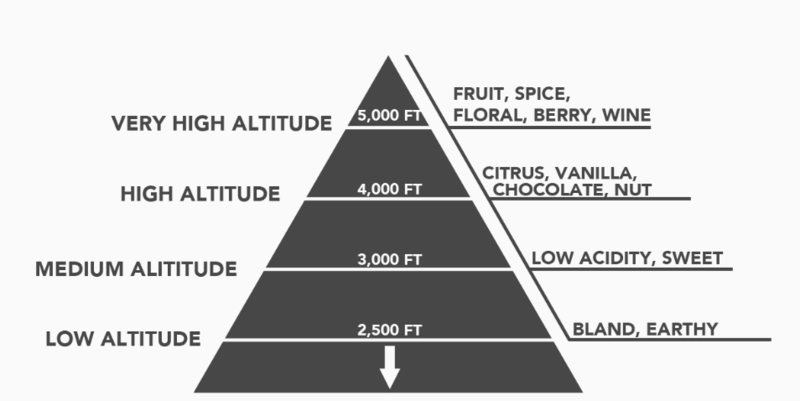 Now that we have broken down the importance of altitude, we hope that your decision making process the next time you order coffee at Quest is much simpler. Here is our monthly Kiva update for you! We are super proud to share with you that with your help, we have now lent a total of US $1250, helping a total of 45 people/groups in 37 different countries so far. 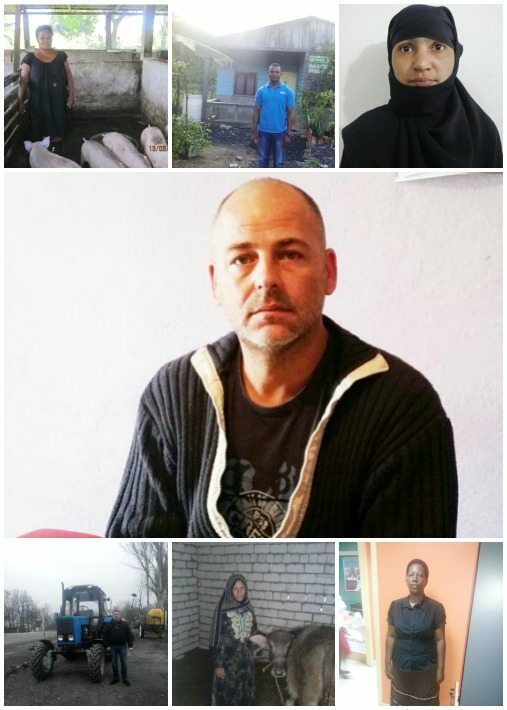 Please find below some pictures of the 8 very deserving people we sponsored this February for more information follow this link to KIVA.ORG. We often get asked in store about the stylish Frieling Coffee for One Coffee Filter. What is it exactly? Well for those of you who don’t know, the Frieling Coffee for One Coffee Filter is the one that uses 23 karat gold plated mesh to filter the coffee. So apart from the fact that it is gold plated, elegant and classy, what is it that sets it apart from other pour over coffee brewers? The gold is chemically neutral which ensures that it doesn’t react with your brew. It doesn’t oxidise and the filter ensures that only the grounds are held back, ensuring that all the flavour of your coffee makes its way to your cup and doesn’t get caught in the filter. It is super portable which makes it the perfect travel companion, doesn’t require filters, only needs a quick rinse after use and, it’s sustainable. Pretty awesome right?! 1. Place the Frieling Coffee for One Coffee Filter directly above your cup. 2. Remove the perforated insert. 3. Boil your water and it allow to cool to between 92°C and 96°C (this is approximately 30 seconds off boiling). If you allow the water to become too hot, it will damage the aroma and flavours of the coffee. 4. Pour hot water through the filter as it will help to preheat the filter mesh and cup. Then drain any residual water. 5. Measure your Quest coffee into the filter. The general rule of thumb is 15g of coffee to 250ml of water, unless you prefer a stronger brew. 6. Add a small amount of water, pouring in a circular motion, to create turbulence. Ensure all the coffee is wet so that you allow for the coffee to blossom. 7. Add the perforated insert into the filter and slowly pour the remaining hot water into the insert. 8. Once drained, remove the Frieling Coffee for One Coffee Filter from your cup, rinse to clean, then sit back and enjoy. We went searching for a video and found this really cool slow-mo of a SwissGold being used…but you will have to enjoy the clip in silence as it unfortunately has no sound. We know you want to buy one now, so head on over to our online store and add it to your shopping cart! Please note that you may have purchased this product from us in the past. It was formerly known as the SwissGold KF-300 Goldfilter – it is still the same great quality product, just a different name. There are many interesting topics of conversation that are had in our James Street, Burleigh Heads, cafe. One that had us wanting to know more was the link between coffee and your hair. So after lots of theories going to and fro, we thought we would find out more about this interesting topic and share the results with you. Healthy hair and regular hair growth relies on vitamins, minerals and other nutrients. There are also other things that negatively affect hair growth including genetics, disease and more. All of that aside, caffeine may have a beneficial effect on your hair follicles to promote healthy hair. The International Journal of Dermatology published a study looking into coffee hair growth benefits as a possible stimulant for hair follicles. Their findings showed that caffeine works by blocking the effects of a chemical known as DHT which damages hair follicles; this is thought to cause Male Pattern Baldness. Dr Tobias Fischer, a researcher at Germany’s University of Jena also studied the effect of caffeine on human hair follicle growth. His study consisted of taking scalp biopsies from men in the early hair loss stages. He put the follicles in test tubes with solutions containing different caffeine levels and left them for up to 8 days so he could monitor the growth. He found that “caffeine is a well-known substance, yet little is known about its effect on human hair follicle growth. Caffeine shows it’s a promising candidate for hair growth stimulation.” When he compared the caffeine treated hair follicles treated to those that were untreated discovered that caffeine boosted the length of the hairs by between 33 and 40 per cent. You can consume caffeine via food and beverages which will enter your bloodstream, and eventually reach your hair follicles. Combine that with a topical application of caffeine-enriched shampoo. This would allow exposure to your hair follicles to a high dose of caffeine, without causing the side effects that can occur due to consuming high doses of caffeine. Researchers in Germany determined via their studies that caffeine delivered to the hair follicles after 2 minutes of shampooing allowed the caffeine to penetrate into the scalp via the hair follicles and outermost layer of the skin. Could this hair be stimulated by coffee? While coffee rinses or oils can help keep your hair strong and minimise hair loss, it can cause some people with hair colours like blonde, light red and light brunette, to darken slightly. It could also give some hair colours a slight reddish colour. On the other hand, regularly shampooing or rinsing with coffee will help to darken hair colours like brunette and grey. Our conclusion is that this is a great reason to continue drinking coffee (not that we needed any excuses)! A great tasting cup of coffee is the way most of us like to start our morning. There are many ways of brewing at home, or on your travels, but one of our favourite choices would have to be the AeroPress way! It produces a superb cup of coffee every time and is so fast! You can make from 1 – 4 cups of coffee per pressing, with each pressing only taking around 1 minute. 1. Make sure your AeroPress is clean and completely dry before using, otherwise the plunger tip may not be able to form a perfect seal inside the chamber. 2. Remove the plunger and cap from the chamber. 3. Put a micro-filter inside the cap and twist the cap onto the chamber. 4. Put the ground coffee into the chamber: 1 scoop for each espresso (up to a maximum of 4 scoops). A funnel is provided for use with a coffee grinder. Use the scoop to measure the beans into the chamber. Water Temperature: Everyone we tested, from coffee lovers to professional coffee tasters, preferred coffee brewed with the water temperature between 80° to 90°. Lower temperature makes a smoother brew so we recommend that you do not use boiling water. 5. Dribble the water slowly into the chamber for the first few seconds to wet the grounds. Then fill to the desired level. Never fill higher than number 4. The plunger can be used to measure water. Just fill to the appropriate number (you can also use the plunger to heat water in a microwave). 6. Stir the water and coffee together with the paddle for about 10 seconds. 7. Wet the rubber seal and insert the plunger into the chamber. Press the plunger. After the plunger has moved a short distance, you can feel the air pushing back at you. Continue pressing gently to maintain pressure and the air will push the brew through the grounds. The plunger will sink slowly and reach the grounds in about 20 seconds for a double, slightly less for a single or slightly more for a triple or quadruple. Then let the coffee drip for a few seconds. 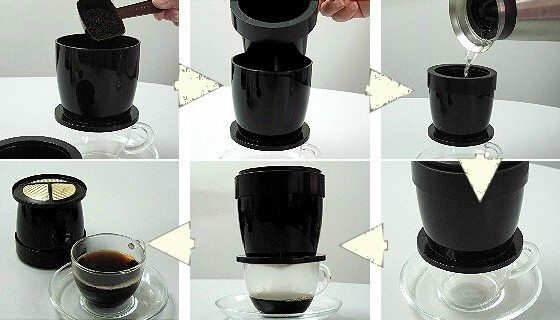 Invert the AeroPress as you lift it off the cup. Pressing slowly is the key to a rich brew and an easy push. If it feels too stiff, just press more gently. 8. Sit back, relax and enjoy! 9. CLEANING UP: Remove the cap, hold the AeroPress over the bin and press the plunger to eject the ‘puck’ of spent grounds. 10. Leave the plunger pushed fully in and rinse the rubber seal. Brush or wipe it to remove the coffee oils. AeroPress IS NOT dishwasher safe. Always store the AeroPress with the plunger pushed all the way in, or completely removed, to avoid compressing the seal. 2000 filters use about as much paper as one city newspaper, so you don’t need to feel guilty about discarding filters. You can however re-use each filter many times just by brushing it off under running water. The choice is entirely up to you. 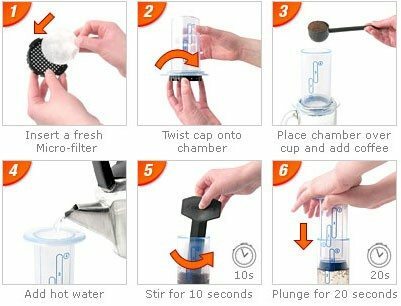 When re-using a filter, remove the plunger and twist the cap containing the wet filter onto the chamber. This will keep it flat as it dries and you’ll be ready for the next pressing. 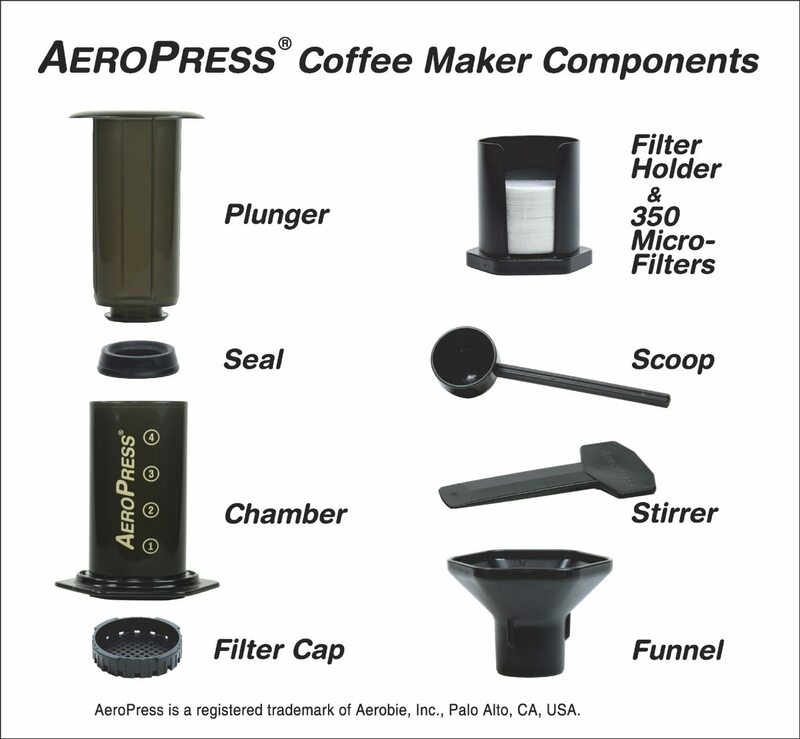 There is a year’s supply of micro-filters with your AeroPress so you are set for a long time. Alternatively, you can purchase a stainless steel filter for a lifetime of AeroPress happiness! If you’ve used a plunger in the past, you may be tempted to let the mix steep for several minutes before pressing. Long steeping, however, only adds bitterness and acidity and is not necessary. During those hot Summer months, we often feel like a cold coffee to avoid the heat. 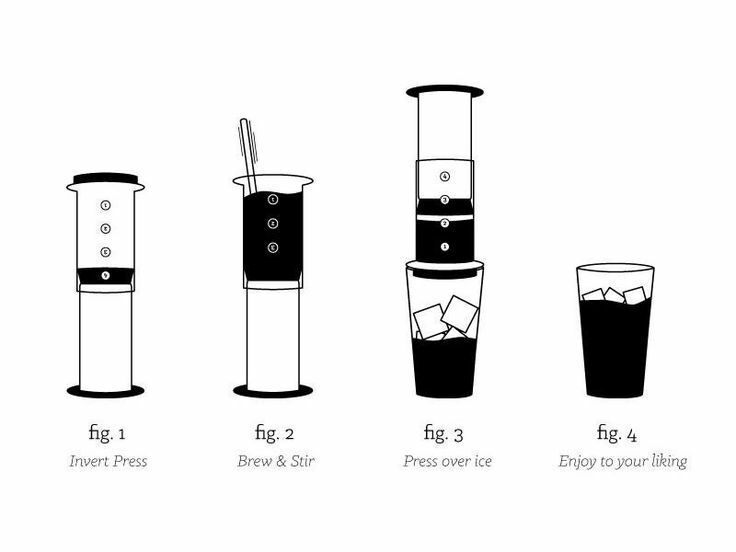 How about trying this inverted method of brewing an iced coffee with an AeroPress? DELICIOUS!! 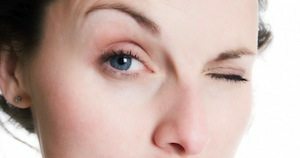 We all know having good skin is hard to maintain with age…but why is this? It’s pretty simple really. We’ve all heard the saying ‘you need to take better care of yourself’. Well that isn’t easy these days; with all the rushing around we do, whether it’s shopping, dropping kids off at school and sports events, grabbing a quick bite to eat on the run, or getting a chance to put on good sunscreen etc…the list just goes on. So it’s no wonder our skin starts to lose its glow. Well it may surprise some to find out that coffee can help in this rejuvenation process. Together with a healthy diet with lots of vegetables and fruit, coffee is also packed with antioxidants. Polyphenols are the main type of antioxidant found in coffee and this plays a big part in helping to reduce skin cell damage. By having at least 1 good organic coffee a day, you can boost the antioxidant levels. Making sure your coffee is made with good quality, filtered water, is a vital part of this process as well. And no, coffee won’t dehydrate you either; that’s a myth. Another great secret getting out is the use of an organic coffee body scrub. This will really get rid of those dead and dry skin cells, leaving your skin feeling soft and smooth all over. This treatment is not only for girls…it’s great for men to use as well. 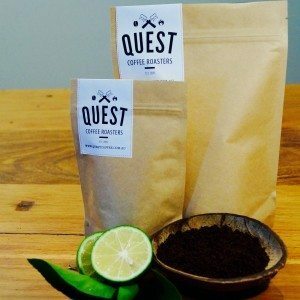 Here at Quest, we have developed a beautiful Lime and Coconut Coffee Scrub. It is all natural and organic and is great for gift ideas as well. You have to try it out so you can start getting that great skin now; it really works! And with Christmas just around the corner, it’s makes for a perfect Christmas gift. Do you have an upcoming function and forgot to think about the addition of coffee? Special events and coffee go hand in hand…in fact, it’s nearly an expectation of the general public that they will be able to grab a delicious coffee at these occasions. The only thing better than having coffee available is having our delicious, organic, Quest coffee, ready for your enjoyment. Our friends at Espresso Xcellence have got ‘mobile coffee’ covered; whether it be at a wedding, market, sporting event, school fete, community event, corporate expo, festival or any other event for that matter. They have their own supply of power, so you don’t need to worry about having a power source available. Just a quick phone call is all that is required to make the booking. Then you will have the Espresso Xcellence team ready to serve your customers with what the rumour mills says is…’the best coffee on the Gold Coast’. Lou is available to answer any questions you have and secure that booking before it’s too late: the number to call is 0418 671 778. We’re back this month with our Quest Around the Gold Coast, featuring Red Tractor Café, which was established by chef Sam Perrin on 12 August with the values of fun, creativity and sustainability. This café may have only been opened a few months, but it has already made quite a name for itself – check out some of their great reviews on Trip Advisor. Red Tractor Café believe that food should be enjoyed, rather than just consumed. They only use local and seasonal produce to ensure that all their dishes are full of flavour, while supporting Australian farmers. If it’s not in season, then it won’t be on the menu. Cooking with seasonal produce allows them to frequently add new dishes to their menu, so you’ll always have something new to try. There are plenty of vegetarian and gluten free options available also. The bread used at Red TractorCafé is baked fresh daily, across the road at Mill Bakery, and they use the finest cheese from two local creameries, White Gold Creamery in Biggera Waters and Witches Chase Cheese at Mount Tamborine. They make almost everything in house, which means better tasting food without the added nasties. Some of their homemade dishes include ice cream, granola, ricotta cheese, tomato relish, mayonnaise, cakes, muffins and the list goes on. The Red Tractor team are passionate about their products and the environment. In addition to sourcing seasonal produce, they also use bio-degradable take away packaging and our very own Quest coffee. Their counter front is created by a local carpenter, using recycled pallets, and they will also reward you with a 10% discount for every brew if you bring your own take-away mug. 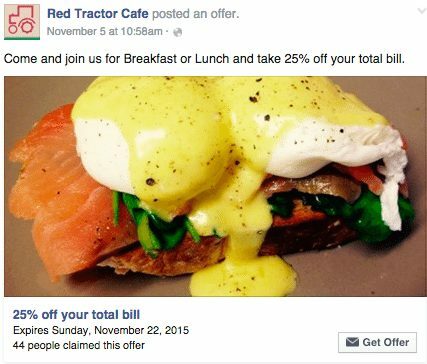 Be sure to check out Red Tractor’s social media platforms at Facebook and Instagram so you can stay up to date with their menu and latest specials. They currently have an offer of 25% off your total bill up until Sunday, 22 November, for breakfast or lunch. What an awesome deal! You’ll need to head over to Facebook to claim the offer. If you find yourself up the northern end of the Gold Coast craving a good quality coffee and delicious food, be sure to stop in at this great new establishment. You can find them at 10 Grice Avenue, Paradise Point and they’re open 7 days, 6:30am to 3pm. Be sure to tell your friends that live close-by as well. Here is our monthly Kiva update for you! We are super proud to share with you that this month, with your help, we have raised $155.10 for Kiva (just this month). This has enabled us to help fund micro loans to help 2 schools this month, helping a total of 25 people/groups in 19 different countries so far. We chose to support 2 schools in Uganda wanting to provide clean drinking water for their students this month. Please read a little more about these very worthy loans below. This is Patrick. 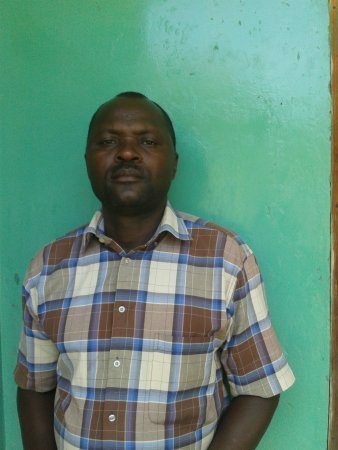 He is the Administrator of Rakai PTC School, a mixed school in the Rural area of Rakai with 300 students. Rakai PTC School has requested a loan to cover the cost of installing and maintaining a UV water filtration system to provide clean drinking water for its students. The school does not currently have access to consistent clean drinking water and therefore has to spend a considerable portion of its budget on firewood, which is used to boil water for the children. Installing a water filtration system will therefore save the school money in the long-term as the cost of firewood will be reduced. The loan will enable the school to purchase a UV water treatment system with a 450 litre tank, which will be big enough to store clean drinking water for the students every day. Rakai PTC School will repay their loan from their school fees, which they collect each term. Patrick ultimately hopes that having access to safe drinking water will improve his student’s concentration and attendance by reducing the number of children that fall sick from water-borne diseases as well as increase the number of students coming to the school. Greetings from Uganda! This is Sylvester. He is an Administrator of Teso College School, a boys school in the rural area of Soroti with 2000 students. Teso College School has requested a loan to cover the cost of installing and maintaining two UV water filtration systems to provide clean drinking water for its students. The school does not currently have access to consistent clean drinking water and therefore has to spend a considerable portion of its budget on firewood, which is used to boil water for the children. Installing a water filtration system will therefore save the school money in the long-term as the cost of firewood will be reduced. The loan will enable the school to purchase two UV water treatment systems with 450 litre & 1000 litre tanks, which will be big enough to store clean drinking water for the students every day. Teso College School will repay their loan from their school fees, which they collect each term. Sylvester ultimately hopes that having access to safe drinking water will improve his students’ concentration and attendance by reducing the number of children that fall sick from water-borne diseases. This will also help increase the number of students coming to the school. Flat White, Latte, Cappuccino, Espresso and more…What’s the Difference? Have you ever had one of moments when you just feel like something a little different for your daily caffeine fix? You look up on the board a little perplexed with the variety, and, with a line up behind you, decide to just opt for your usual. Our baristas have a wealth of knowledge and are always happy to help you decide, so feel free to ask at any time. We also thought we would help out and break it down for you. The flat white originated in Australia so you will be hard pressed finding the exact replica anywhere else in the world. Sure you will find variations that will give you some enjoyment on your travels but the saying “same same but different” will spring to mind. In America, for example, their version of the American latte is nearly exactly the same as our flat white. At the end of the day, a flat white is textured milk and an espresso shot with a thin layer of foam to finish off. 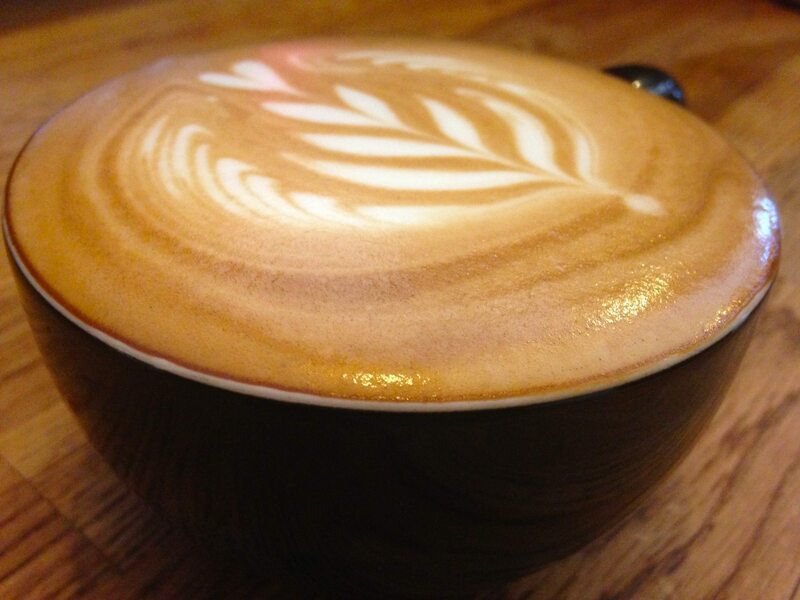 The flat white will be strong in flavour, combined with that velvety smooth feeling we all know and love. The key to a great latte is in the art of steaming/texturing the milk. 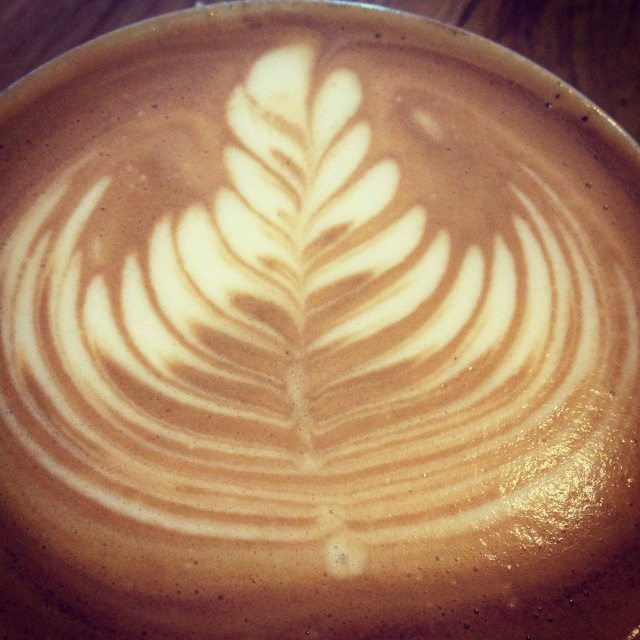 Texturing milk plays a big role in creating the perfect latte. Firstly, the most obvious, is to bring the milk to the desired temperature for drinking but it also creates micro foam. You can’t make micro foam without air being added into the milk – that all too familiar “hissing sound” you hear in the café is the sound of micro foam…that is when perfection is being made. What is in a latte? Espresso shot, steamed milk and approximately 1cm of micro foam on top. For those of you who wonder what the difference is between the flat white and the latte…it is quite simply the 1cm layer of foam. The cappuccino is a traditional Italian drink and some would say that it is defined by its froth. The cappuccino is typically a stronger beverage. 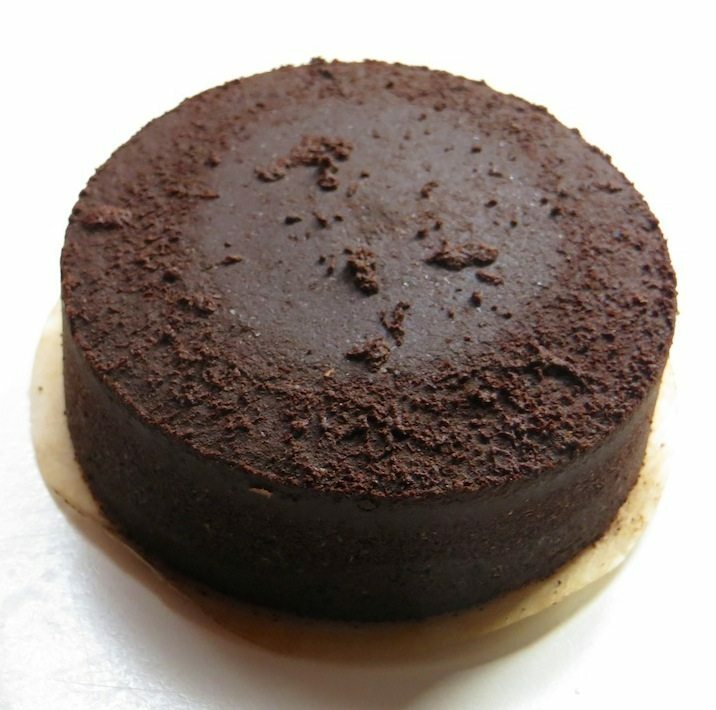 It has three parts and is generally made with 1/3 espresso, 1/3 textured milk, 1/3 froth, then finished off with chocolate dusting powder. What makes the cappuccino special is the equal quantities of each component. What you will most likely notice while consuming the cappuccino is that the foam is nice and stiff to begin with and finishes with a rich milky coffee underneath. This one doesn’t take much to explain…a mocha is just a cappuccino with chocolate. We know what you chocoholics are thinking…YUM! 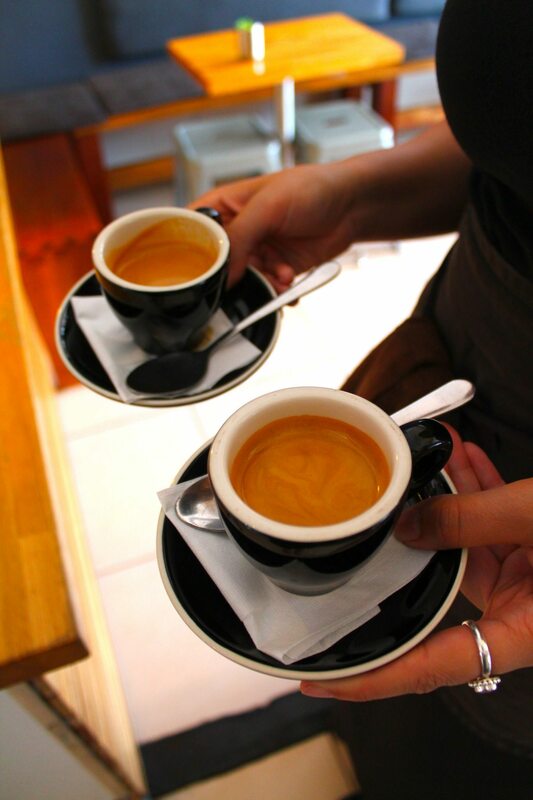 Pouring a double shot of espresso over hot water makes the popular long black. 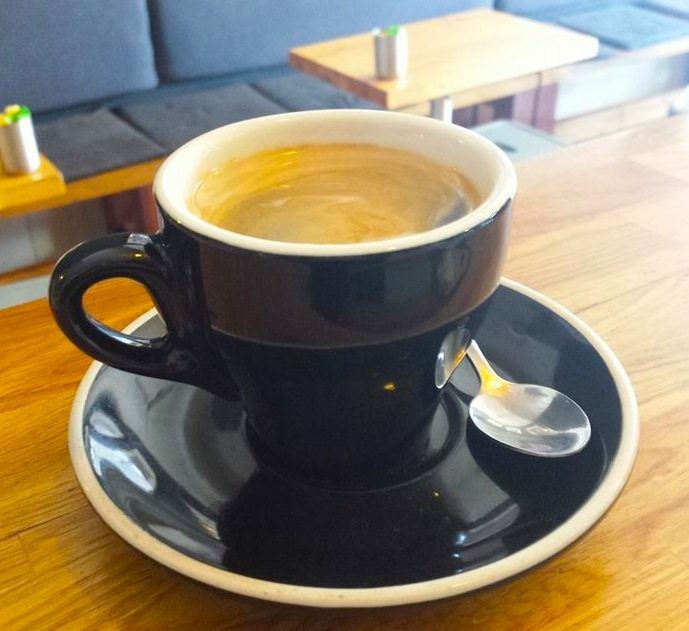 It is similar to the Americano except that the long black retains the crema (the glassy layer on the top of the drink) and has less volume, which gives it a stronger flavour. The barista’s job is important, as they need to monitor the shot speed so that they can produce the best possible extraction. Allowing your long black to rest, as it cools from slightly boiling to a drinkable temperature, is the best way to enjoy a great tasting long black. The great thing about a long black is that you are able to taste the undertones, flavours and sweetness of the coffee. Many people have the misconception that an espresso is a dark and bitter to burnt-flavoured coffee. Let’s clear that misconception up for you. Espresso often forms a bold, not bitter, flavour. It is quick to make, doesn’t interfere with flavour and is often referred to as the drink of coffee connoisseurs. The big difference is that you get the same caffeine hit you would get in any other of the espresso-based drinks, minus the larger volume of liquid. It is therefore, quick, easy and convenient and packed full of flavour. An espresso is meant to be intense and the art of the good barista is to create a balanced flavour. There are many factors involved in making a good espresso; the grind size, temperature, freshness of the beans and the length of the shot. A little more complex than it looks, right? Drinking espresso is the best way to experience the true flavour of the bean; mild/medium/strong, chocolate or fruity, and all those special undertones. It is best consumed straight away, before the gassy layer dissipates and the liquid cools down. A cooled espresso will taste completely different to a fresh one. Macchiato means ‘marked’ or ‘stained’. In short, it is an espresso with a ‘stain’ of hot milk (a dash of foam). The quantity of milk is just enough to stain the colour of the black coffee. 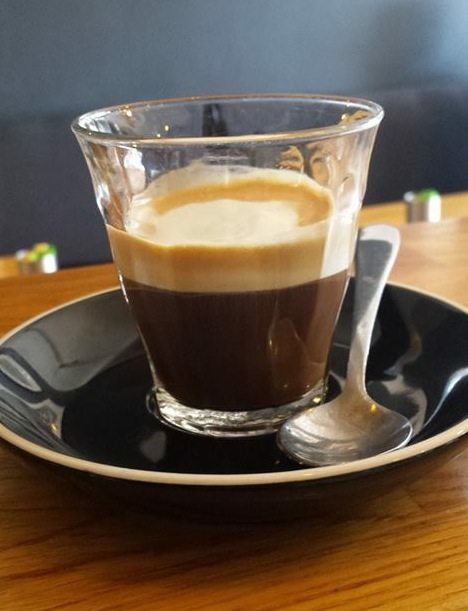 The macchiato takes the edge off an espresso, adding a different aspect to the drink. It is worth a try for the coffee enthusiast who enjoys a strong, full bodied flavour but is not a big fan of the straight espresso. Last but not least, the delicious Affogato. This is really similar to the macchiato. It’s a coffee-based dessert for those times when you feel like being a little naughty. 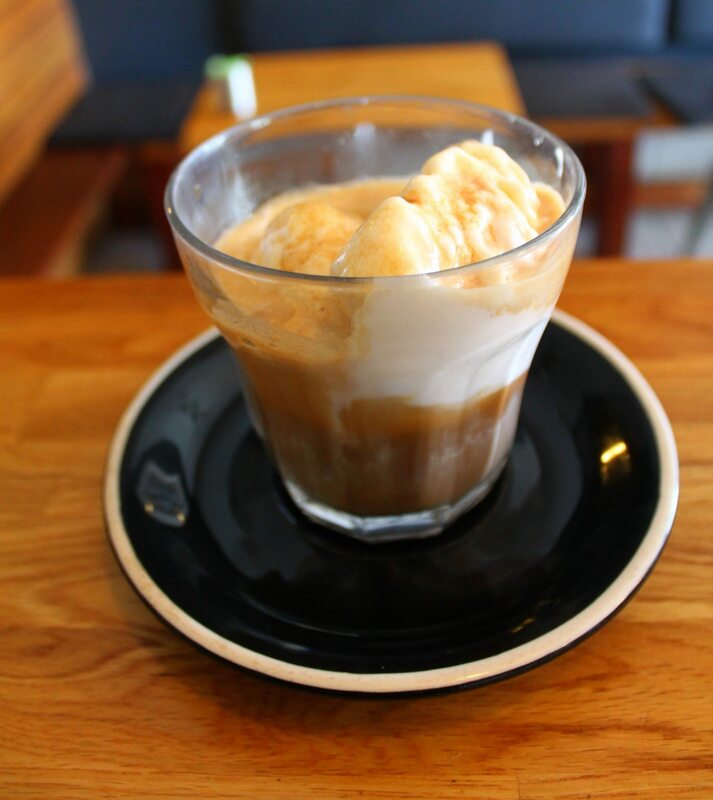 It’s quite simple really…a shot of hot espresso poured over a scoop of vanilla ice cream. Bon appetite! Our happy baristas here at Quest Coffee Roasters are all about customer service and providing you with the best quality coffee. We have grown to understand that each individual has different likes and dislikes, and the perfect coffee isn’t just as easy as ‘black and white’. We have had so many different requests over the years that it would take a lot to surprise us. So next time you are visiting us at our James Street, Burleigh Heads café, be sure to ask for your coffee how you like it best and we will be happy to accommodate. Don’t forget that we always have 4 different types of coffee to offer you until 3pm everyday. Once upon a time, a creative couple named Meg & Nick, shared a long time dream of theirs with friends who then urged them to turn that dream into reality. Their love of all things natural and authentic, combined with a heart to serve and love people with quality produce and style, brought their vision to life in the form of a vintage travelling café and bar! We are continuing our “Quest” around the Gold Coast, and this month we would like to introduce you to our valued customer, Daisy Days. 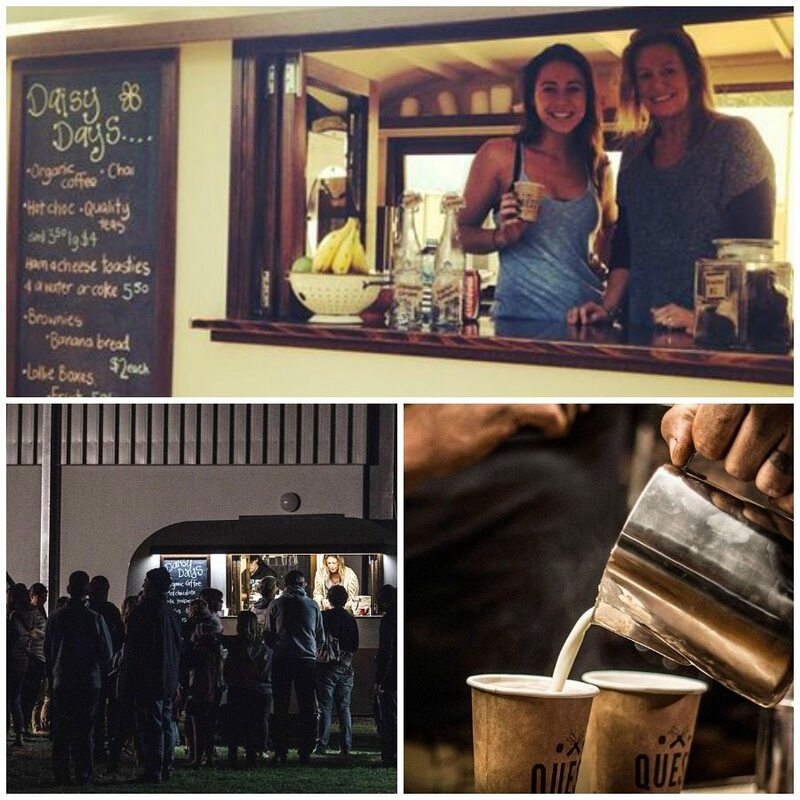 Daisy Days is a travelling café and bar serving organic Quest coffee, quality teas, hot chocolate, chai, cold beverages and sweet treats as required. Daisy Days began operating in May 2014 and they have certainly proven that events are their specialty. Their trendy little vintage van, which is a replica 1950s Bondwood Caravan, is the perfect companion for any event. …plus many other events. They have an overabundance of lovely comments on their Facebook page, ranging from outstanding customer service to how amazing their coffee tastes. Check out their Facebook and Instagram for yourself, and be sure to give them a like – that way you’ll know which event they’ll be attending next. There’s nothing better than a Quest coffee while you’re out and about. If you are interested in arranging for Daisy Days to attend an event, give Meg or Nick a call on 0447733575. We’ll leave you with a cute video they put together of their first ever outing. Enjoy! 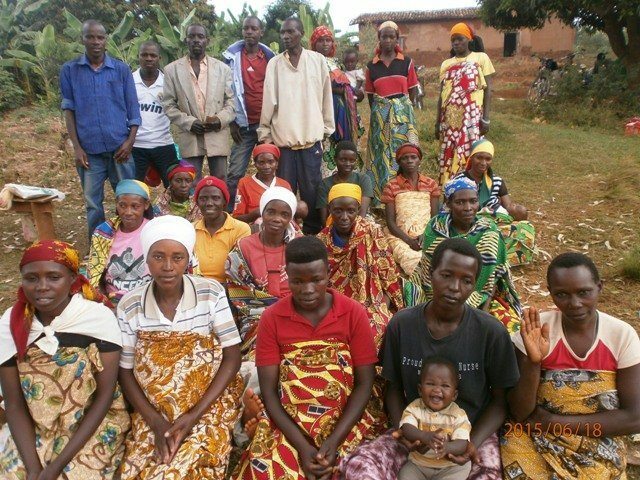 Here is our monthly Kiva update for you! We are super proud to share with you that this month, with your help, we have raised $150.65 for Kiva (this month). This has enabled us to help fund micro loans to another 8 people, helping a total of 23 people/groups in 18 different countries so far. Please click on the pics below to take you straight to their profile and learn more about the wonderful work Kiva does. 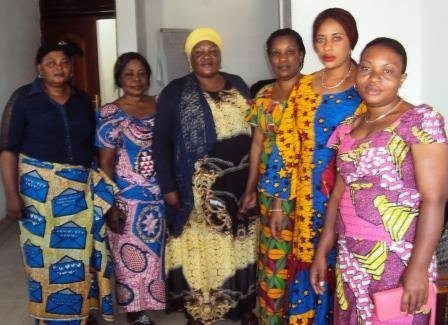 Sponsored by Quest through Kiva: Tuliza Group from Congo. 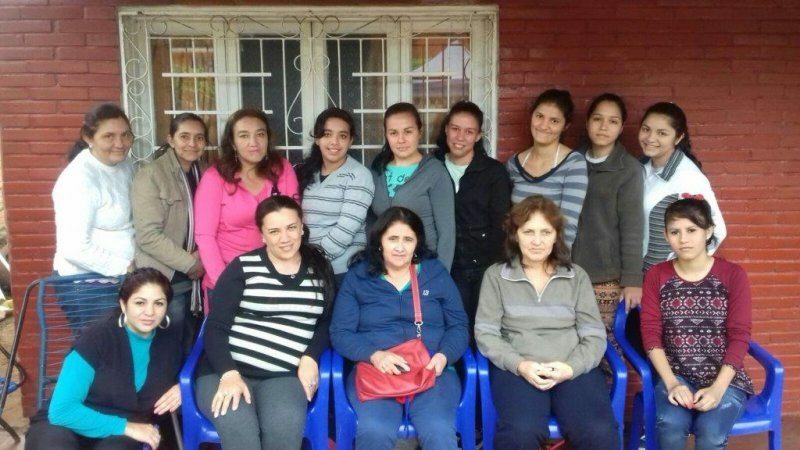 Sponsored by Quest through Kiva: La Esperanza Group from Paraguay. 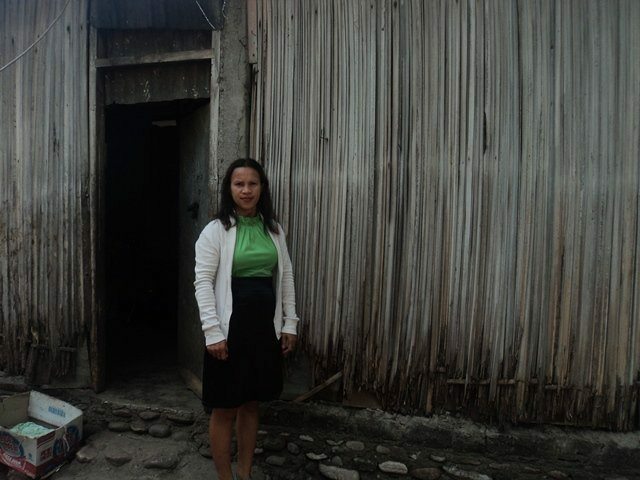 Sponsored by Quest through Kiva: Milena from Timor-Leste. 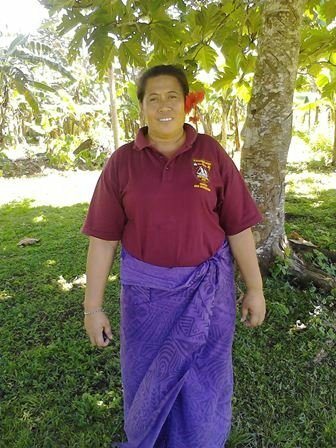 Sponsored by Quest through Kiva: Asotasi from Samoa. 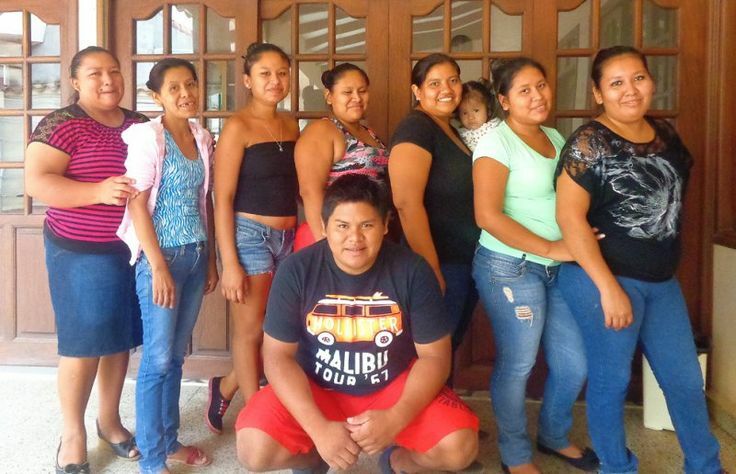 Sponsored by Quest through Kiva: La Manzanita Group from Nicaragua. Sponsored by Quest through Kiva: Maria Norelly from Colombia. Sponsored by Quest through Kiva: Leila from Lebanon. Sponsored by Quest through Kiva: Maria De La Cruz from El Salvador. 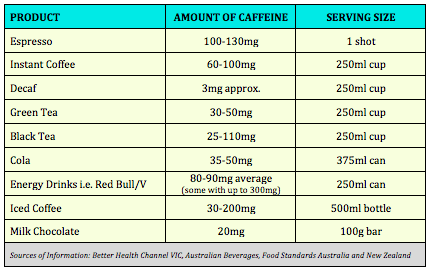 We often get asked by our lovely customers how much caffeine is actually in our coffee when compared to other favourite Australian beverages. So we thought we would do a little research and share the results with you. Coffee happens to be the largest contributor in the typical Australian diet and it comes in varying forms; the barista-made coffee, restaurants, instant coffee or big chain cafés. There are also a variety of other ways to satisfy your need for caffeine via your favourite cup of tea, cola, chocolate or energy drinks but they really don’t compare to the amount of impact coffee has on our society. Coffee is by far our favourite beverage! Different people have different sensitivities to caffeine, which allows some to have a much larger quantity each day than others. Not to mention the lucky ones that can partake in a late afternoon coffee without running the risk of insomnia. The rest of us simply look on with envy, while sipping on our trusty decaf. So what is considered the “acceptable” amount of caffeine a healthy adult can consume daily? Around 400mg or less per day. That is equivalent to about 4 cups of brewed coffee/espresso, 2 energy drinks or around 10 cans of cola. We all know, of course, that coffee will have a significant amount less sugar than the latter options so it’s not hard to decide the healthier choice. I know which caffeinated beverage I will be choosing to consume…do you? Have you ever sat back and wondered if there was a way to recycle your used coffee grounds, rather than just adding them to the garbage bin? As you can imagine, we make quite a few coffees during the day here at Quest which leaves us with quite a bit of waste product afterwards. We thought we would share with you some cool ways to recycle your coffee grounds…after all, we like to do our best for the environment where we can. Soften your hair and give it some extra shine by adding some grounds to your shampoo or conditioner. BEWARE: If you have fair hair, you may end up with darker hair after this beauty treatment. 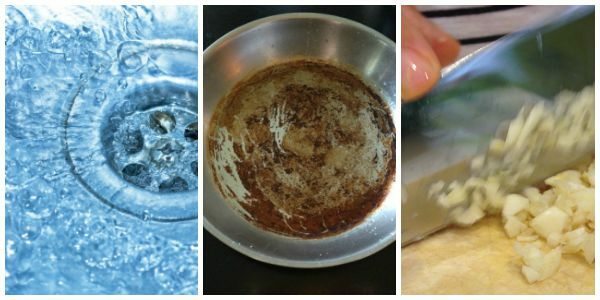 If you love the smell of coffee, you can make your own soap. Coffee is a good deodoriser after all. Coffee scrubs are cheaper and more natural than the common salt scrubs and will make your skin feel silky smooth. 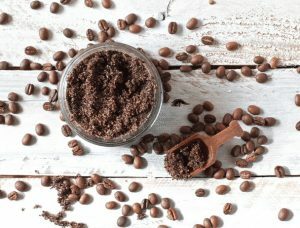 We wouldn’t recommend using coffee grounds for making a nice scrub; instead, we make a lovely organic coffee scrub, with all natural ingredients. 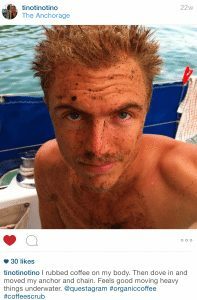 You can even apply the scrub to the area just under your eyes to help alleviate those pesky dark circles. Click here for more details. Coffee grounds are acidic and therefore pests like slugs, snails and other bugs don’t like them. By spreading coffee grounds on the ground around your plants, you can be sure they’ll leave your plants alone. If you have a vegetable garden, carrots and radishes love coffee grounds so mixing your seeds with the grounds before planting will help increase your harvest. 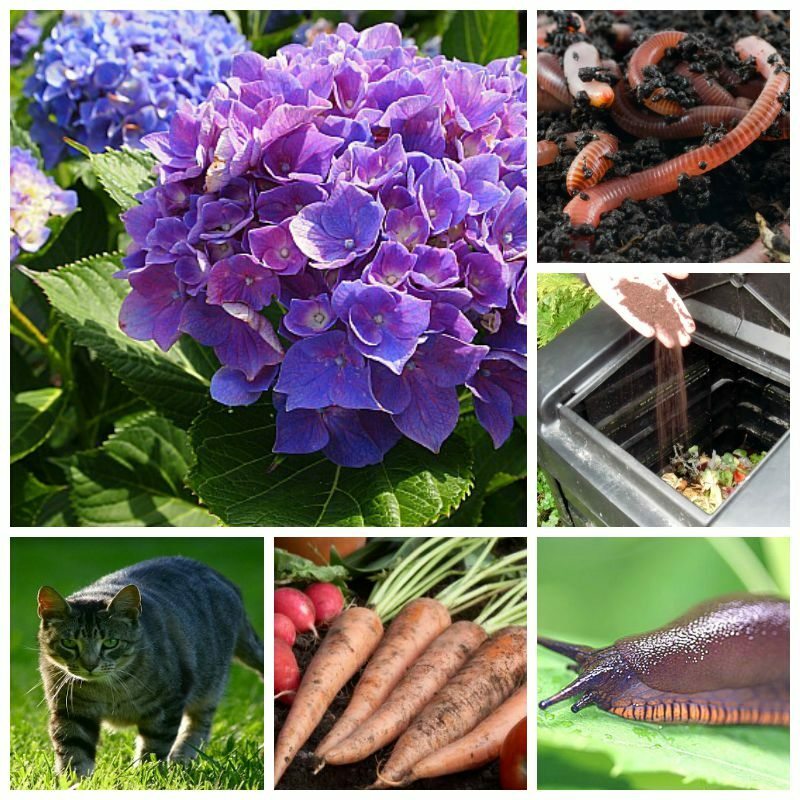 Worms are great to have in your garden as they turn the soil and fertilise it at the same time. They also love coffee grounds so you will invite more of them to your garden party by spreading the grounds around your plants. Nobody enjoys the neighbourhood cat having a stroll through their garden and undoing all their hard work. You just have to spread the coffee grounds, together with some orange peel, where the cat’s favourite walking track is and they’ll be sure to find someone else’s garden to traipse through. If the cat is weird and actually likes the orange peel, try mixing with grounds with rosemary oil instead. Composting is great for the garden and by adding grounds to your heap, you will add more nitrogen which will help your compost decompose. If you have a trail of ants, sprinkle the grounds in their path. The ants will eat them which will cause them to collapse. Better still, if you can find the anthill or colony entrance, pouring the grounds over that will have a much greater effect in deterring them. Some plants change colour if the PH level is low enough. Coffee grounds will reduce the PH level and can change the colour of flowers of Hydrangeas (for example) from pink to blue! This would have to be one of the coolest ways to recycle the grounds! A quick and easy way to unclog your drains is to use coffee grounds with some boiling water and a little dishwashing liquid. You don’t want to use too much though or you will end up clogging your drains more. Who loves the smell of their hands after chopping garlic and onion? Most people would admit that they don’t. Keep some grounds nearby in the kitchen to rub your hands in afterwards as they will help absorb the odour. We’ve all heard of using baking soda in the fridge to help it smell fresh all the time. The great news is you can save your baking soda for….baking….and use coffee grounds instead. It has the same effect. Smelly shoes? Put a about 1 tablespoon of grounds in the shoes and it will absorb the odour for you. Coffee is abrasive and acidic, so scouring your pans with a few teaspoons of coffee grounds to help get rid of stubborn stains and burn marks. We wouldn’t recommend using them on ceramic dishes or ones that are easily stained though. Your dog will love you getting rid of fleas the natural way. Coffee grounds act as a natural flea repellant. No nasty chemicals for your pooch and super cheap! 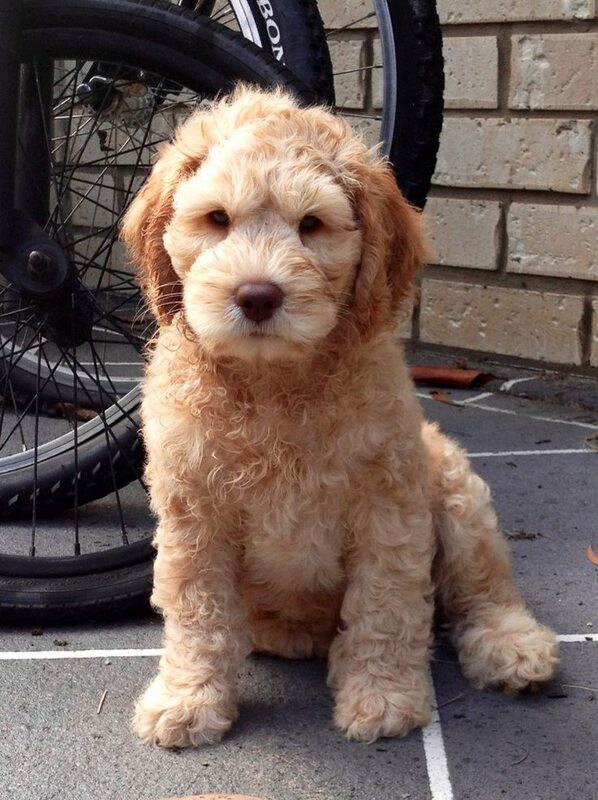 Cute Puppy with NO Fleas! We have more ideas on our Pinterest page so head over there for more recycling inspiration. If we have managed to inspire you today and you need extra grounds, we are happy to share some of ours. Obviously we can’t send them via the post, given how bulky they are, but feel free to call into the café at the end of the day and our friendly team will happily pass them on. Do you ever find yourself out and about on a busy day in Southport, or nearby, longing for a good quality coffee but struggle to find one? We’d like to introduce you to one of our valued wholesale customers, Giri Kana Café. Not only do they have a wide selection of freshly made vegetarian and vegan cuisine (with many organic and gluten free options), but they also have a plentiful supply of our very own, delicious, Quest coffee. While their focus is on vegetarian and vegan dining, they have many customers who are not vegetarian and regularly visit just because they like the food! Girl Kana’s emphasis is on fresh and wholesome foods that are good for the body, as well as the mind and spirit…AND their food is cooked with love and devotion. With more and more people turning to healthy takeaway options, this café should be at the top of your “must try” list next time you are in the Southport Area. After all, any food made with love is definitely worth trying. Giri Kana are open for breakfast (6.30am-11am), lunch and dinner (11am-8pm) weekdays, 6.30am-3pm Saturdays and closed on Sundays. They are located on the Ground Floor of H2O Broadwater (Cnr Nind St and Gold Coast Hwy), 82 Marine Parade, Southport. Check out their website for more information and a look at their menu. They are also on Facebook so you can stay up to date with all that is happening in the café. Many would agree that the biggest creature comfort they miss after a long day would be the delicious coffee they have come to love from their favourite cafe (after all, we are closed for 14 hours each day). One of our best selling at home coffee makers here at Quest Coffee Roasters, and the one most people are familiar with, is the Bodum 3 cup and 8 cup Plunger (French Press). Let’s face it, when you are too busy to visit your local cafe, you want our coffee to taste just as delicious as it does every other day of the week. 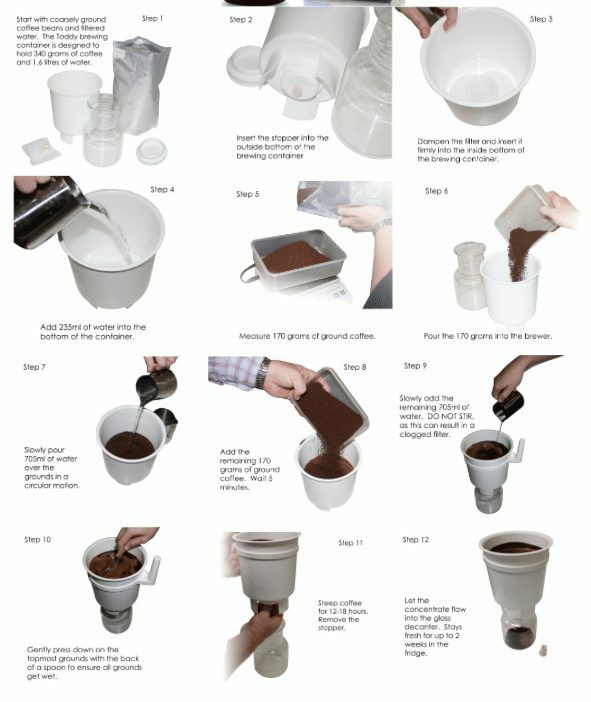 We have put together some simple step by step instructions below to help you create consistently mouthwatering coffee, every day. You can also come visit us at 20 James Street, Burleigh Heads, where our team of baristas will be happy to give you a demonstration. 1. Place the plunger on a dry, flat, non-slip surface. Hold the handle firmly, then pull the plunger unit straight up and out of the pot. 2. For each cup (4 oz), put 1 rounded tablespoon or 1 Bodum scoop of coarse ground coffee into the pot. CAUTION: Use only coarse ground coffee. Fine grind can clog the filter and create high pressure. Place the plunger on a heat proof, non-slip surface. 3. Pour hot (not boiling) water into the pot. Leave a minimum of 2,5 cm/1 inch of space at the top. Stir the brew with a plastic spoon. CAUTION: Metal spoons can scratch or chip the glass beaker and cause breakage. 4. Place the plunger unit on top of the pot. Turn lid to close off the pour spout opening. Let the coffee brew for at least 4 min before pressing down. 5. Hold the handle firmly with the spout turned away from you, then using just the weight of your hand, apply slight pressure on top of the knob to lower the plunger straight down into the pot. Lowering the plunger slowly with minimal pressure produces best results. If the filter clogs or it becomes difficult to push down the plunger you should remove the plunger from the pot, stir the brew and then slowly plunge again. WARNING: Using excessive force can cause scalding liquid to shoot out of the pot. 7. To clean, unscrew the filter assembly and clean the plunger unit after each use. All parts are dishwasher safe. • Not for stove top use. • Check glass beaker for scratches, cracks or chips. Do not use a pot which is scratched, chipped or cracked. Install a replacement beaker before using the pot again. • Keep children away while using. Hot water is a hazard to small children! • Do not allow children to use this coffee maker. • Excessive plunging force can cause scalding hot liquid to shoot out of pot. • Do not plunge with force. • Turn lid to close spout. • Use only coarse ground coffee. For those of you who prefer a visual aspect, here is a short instructional video from our friends at Verve Coffee Roasters. Now you can make perfect coffee, every time. 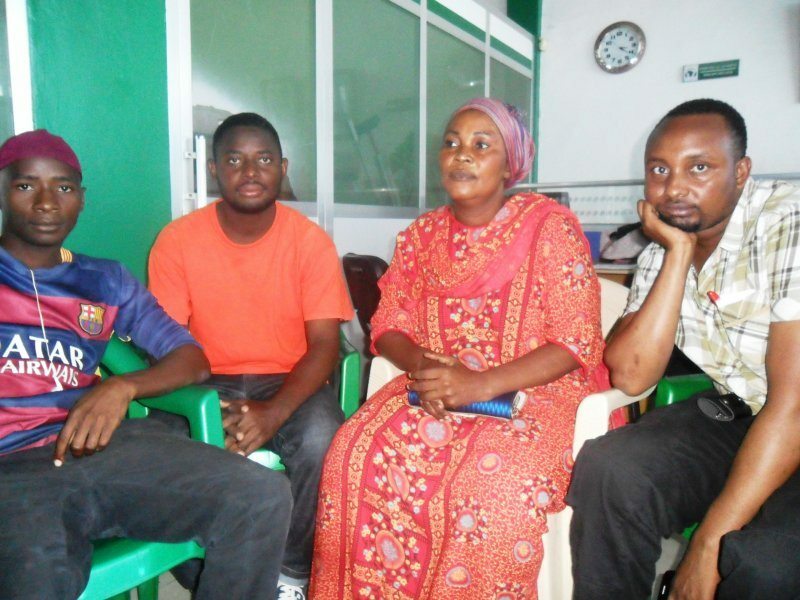 Here is our monthly Kiva update for you! We are super proud to share with you that this month, with your help, we have raised $136.75 for Kiva (this month). This has enabled us to help fund micro loans to another 4 people, helping a total of 15 people/groups in 10 different countries so far. Please read below for more info on the profiles of the people we support. Concilie is part of the group Kenyera and lives in Gitega. She is 53 years old and married to Joseph, a merchant. Together they have two children, 8 and 25 years old, both students. She has a student granddaughter in her care. Concilie has been doing commerce in bananas for twenty years. She is on her 2nd loan at Turame. With the KIVA loan she is obtaining, she is going to increase her capital and purchase a large amount of bananas to resell, so as to earn more. In the coming years, she would like to raise livestock in addition to her business and to see her children educated. Clemantine is a group leader; aged 40 years. She is married with 4 children aged between 8 and 14 years. The group is called KORA means “WORK” in English. They sell different products and they wish to expand their business for changing their better future. 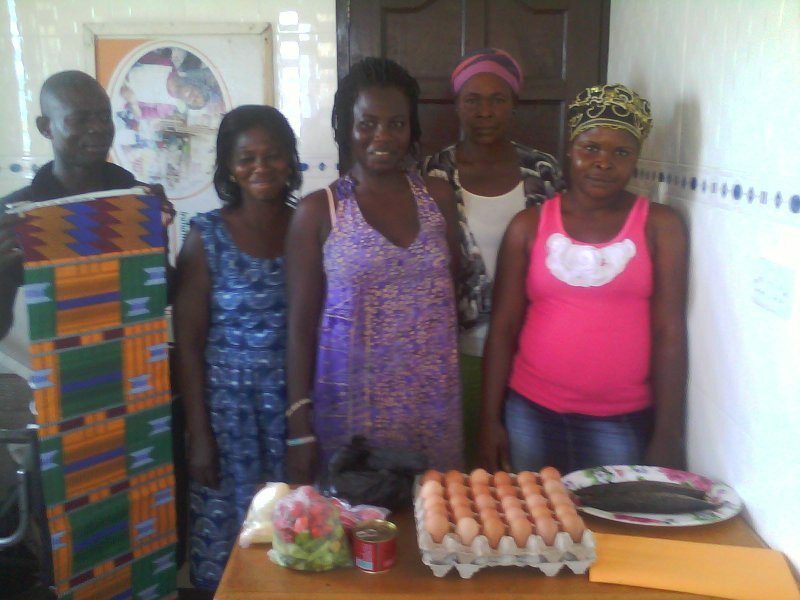 Clemantine sells foodstuffs and has been running a business for 4 years. With the loan, she would like to buy more cassava, beans and sorghum for sale. The profits from the business will be used to pay school fees of her children and to buy a piece of land. Santos is 41 years old and lives with his spouse and children in their own home build of rustic materials in the Sondor community of the Pomahuaca district. This is located in the Jaén province, Cajamarca region in the northern mountains of Perú. Life in the district is quiet and the residents work mainly in agriculture, trade and cattle raising. 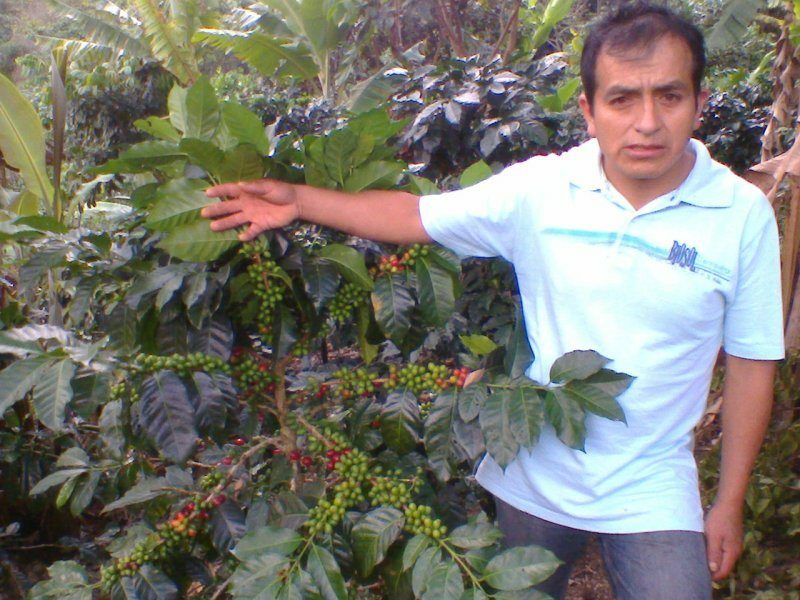 Santos works in agriculture, specifically growing coffee. He has 12 years of experience in this trade and has very good personal and business references in the area. He will use the loan he will receive to purchase organic and chemical fertilizers to properly maintain his coffee plantation. He will also hire labor to help with the harvest season. This way, Santos hopes to offer a better quality coffee to his clients. This will have a positive impact on the income he receives and therefore will improve the quality of life for him and his family. Juan continues to manage his business of selling vegetables. Through this business, he is able to help his family get ahead. His dream is to expand his business of selling vegetables. Juan is requesting a loan in order to buy tomatoes, carrots, onions, and squash. He is pleased with the loan and promises to complete his payments. … and why we think Arabica Coffee (preferably Organic) is always the way to go if you want a super tasty coffee. Time to learn something new about your beloved hot and cold beverage. You probably say coffee all looks a bit the same once it is roasted and it is pretty hard to see the actual difference but there are some significant ones and it’s helpful to know what they are when you are choosing a coffee. Did you know there are over 100 different coffee species in the world? That said we only use 2 in commercial coffee production; the Arabica (Coffea arabica) and the Robusta (Coffea robusta). The difference between Arabica and Robusta coffee beans. Robusta beans have a much higher level of caffeine than Arabica beans, yes it’s almost double the amount. Arabica beans have a milder, more aromatic taste while Robusta beans have a stronger, harsher taste, with a grain-like overtone and peanutty aftertaste. When the coffee beans are un-roasted (green), the beans can easily be told apart by their difference in colour and shape as Arabica beans are a darker shade of green, flat and elongated, the Robusta beans have a more obvious round shape. 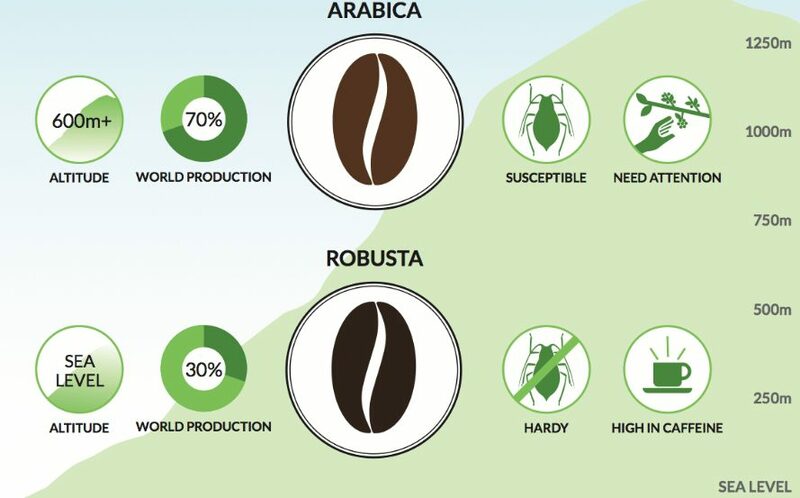 Robusta is easier to grow on the farm, has a higher yield and is less sensitive to insects – the high caffeine level is a chemical defense for the coffee bean as this amount in the Robusta is toxic to bugs. 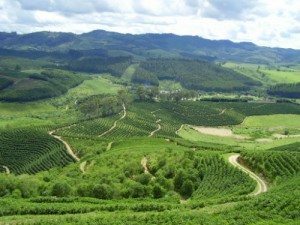 Arabica coffee is also grown at a higher altitude (600 – 2000 meters) and in cooler sub-tropical climates while Robusta can be grown at sea level. Over 70% of the coffee grown around the world is Arabica. And although Arabica is generally known as the higher quality bean, there are many high quality blends of Robusta available on the market too. So you want to know what we use at Quest? We only use the best Organic, Fair Trade or Rainforest Alliance Arabica coffee beans available and roast them fresh for you daily. You can find them all here in the shop and we will make sure they will be on there way to you within 24 hours, or come in and say hi at our cafe on the beautiful Gold Coast; we are Burleigh Heads (20 James Street) and have a chat to our friendly baristas. Coffee, like most things, tastes best when it is fresh. Buying your coffee beans whole and only grinding as you go will always produce a consistently good flavour, as opposed to your pre-ground beans. A good quality grinder is essential and would get used more, in most homes, than many kitchen appliances. Your coffee is best ground medium, unless you are making espresso or aeropress (see below for more info on the optimal grind size for your particular brewing method). The powdered coffee that builds up around the side of your grinder will only clog your filter, not to mention the bitter taste that comes with it. Blade grinders produce a lot of powder. 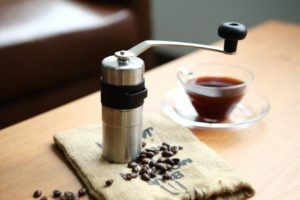 We recommend using burr grinders like our Rhinowares Hand Coffee Grinder or Tiamo Coffee Grinder. The primary goal of making coffee is that we extract the delicious flavour components and oils that are inside the bean. When grinding the coffee beans, you help the water to efficiently extract the solubles that are responsible for the taste and aroma we have come to love. A whole roasted coffee bean is a striking, protective package that keeps the oils where they should be; inside the bean. If the protective shell is broken, the flavour components are disrupted. The oils are very delicate and this allows the coffee to be contaminated easily. Odours around ground coffee will fault the bean in a way that it will not contribute positively to your coffee tasting experience. Coffee oils are water-soluble. The moisture in the air will immediately start to dilute the oils once the ground coffee is exposed to it. Inside the cell of the roasted coffee bean are approximately 1,000 different volatile aromas and flavours. Once they are released, they oxidate (react with the oxygen in the air). It only takes around 15 minutes for ground coffee to lose more than 50% of its aroma. CO2 is created during the roasting process. Some of it is lost during the cooling process, as the bean is porous. Much of the CO2 is retained in the cells of the bean. CO2 is the main method for getting the essential oils into the coffee once they are released. The increased surface area created after grinding allows for more CO2 gas to be released. 80% of this gas is released into the air within 1 minute of grinding. So in short, your coffee should be ground fresh just prior to brewing. This will bring you even closer to coffee utopia, a place we all love to be at the start of our busy day. 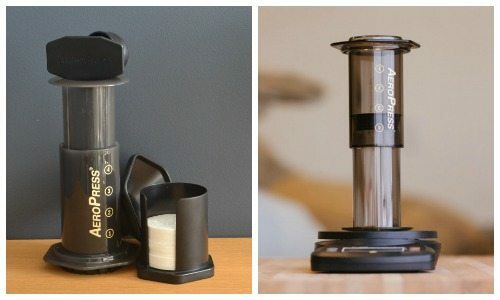 What is the best way to grind your coffee? There are many benefits to grinding as you go. You will be able to calibrate the grind perfectly, depending on your preferred brewing method (the size of your grind should always match the brewing method you will be using). The duration of time that water and coffee needs to be in contact directly relates to the particle size of the grind. We find that the best way to store your coffee is in the Friis Storage Canister, which has a valve that allows the gases to escape, while keeping the oxygen out. Ground beans will go stale within 3-4 days, whereas whole beans will stay fresh for about 3-4 weeks. Ever wondered why instant coffee has little to no flavour? If coffee is packaged in an airtight container that has no de-gassing valve before it is allowed to go stale, it would explode. We hope that this information helps you when next purchasing your beans. Don’t forget to share our post with your friends so they are well informed now too. Blog written by Therese Glowaski. 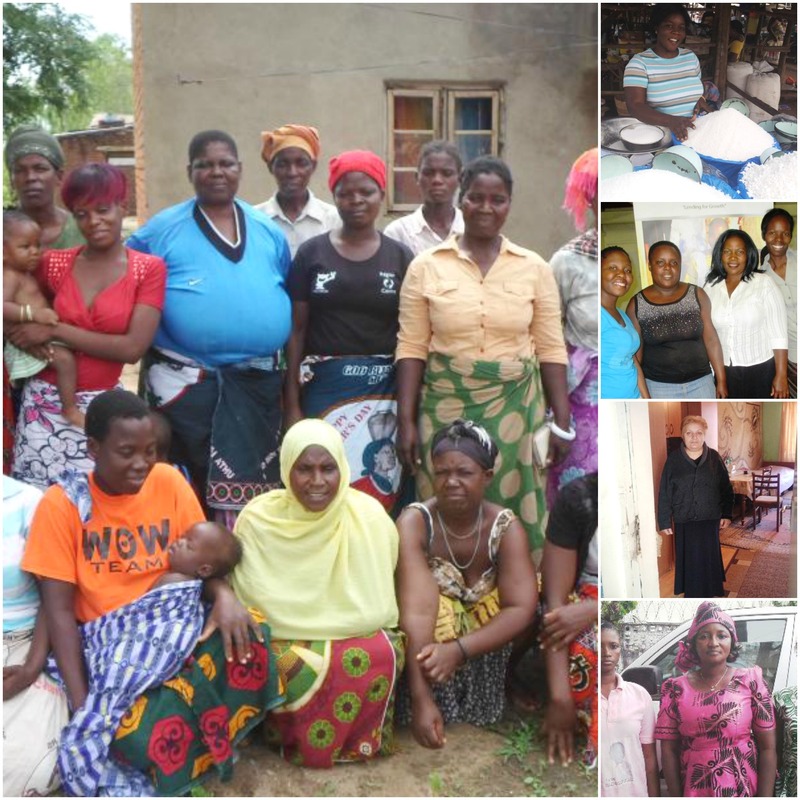 Here is our monthly Kiva update for you! We are super proud to share with you that this month, with your help, we have raised $51.65 for Kiva. This has enabled us to help fund micro loans to another 2 people, helping a total of 11 people/groups in 8 different countries so far. Please read below for more info on the profiles of the people we support. 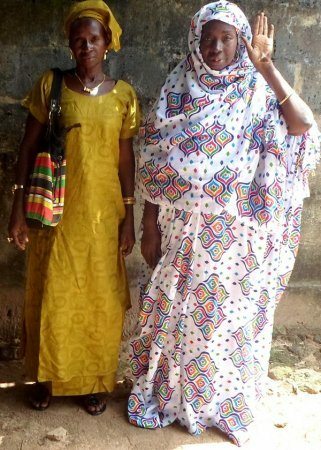 Fatuma, a mother of two daughters who are grown up, is in her late 40s. She is married.For 18 years now, she has had a cafeteria, serving food to people. She prepares varieties of foods that attract many people. She works from 5 a.m. to midnight. She is a hardworking woman. Fatuma is able to earn a fair monthly profit. This is her 15th credit request from Tujijenge Tanzania. Fatuma is a long-time Tujijenge customer who repays her credits well. With her previous credits, she upgraded her premise with tables and chairs, plates, glasses, and cooking ingredients such as cooking oil, maize and baking flour, sugar, kilos of meat and fishes. Tujijenge is so happy to see Fatuma improve month after month, and this enabled her to receive some extra income that she used to cover family living costs and plow back into her cafeteria. In the coming years, Fatuma would like to own a big hotel serving varieties of foods.With this credit request, she will buy cooking ingredients for her cafeteria. She will share this credit with her group, Tupendane Kongowe, totaling four members. The group members will hold each other accountable for paying back the loan. Sponsored by Quest through Kiva; Belinda from Phillipines. According to Belinda, 48, she wants to live a peaceful life and see herself worthy in the sight of God. 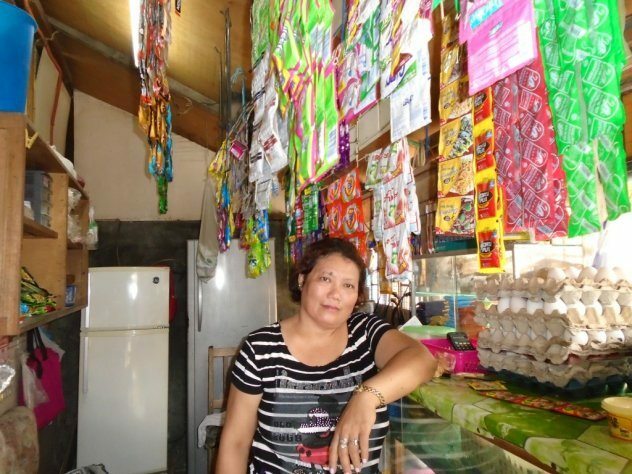 She tries to be honest in all undertakings, including the management of her business.Belinda runs a variety store in Davao City. Just like other business owners, she also experiences stiff competition and lack of capital. Besides, she has many debtors who just fled and left behind their debts. Sometimes her honesty and consideration for others doesn’t always come back to her. This faith-testing situation hampers the continuous operation of her business and consequently affects her income. Now she is the one who needs additional capital of PhP 50,000, which she can use to buy added items to sell in her variety store. Her profit can supplement her husband’s income and sustain their daily expenditures. They are both working hard to support their children, who are still studying in college. Later on she plans to add another business such as PISO Net (a coin-operated internet café) or a motorcycle for rent.She regularly meets with her co-fellowship members to share stories of her work every week and also to draw strength and inspiration from the Word of God. *All CCT community partners/clients are organized into fellowship groups that meet on a weekly basis. A fellowship group is composed of 15 to 30 community partners. The fellowship groups gather each week to study the Word of God, build social capital, and pay microfinance loans. This week we wanted to share with you a really great video from Verve Coffee Roasters (Santa Cruz, CA) on how to make a beautiful rosetta. The video explains perfectly how speed, distance and location affect what your final result will look like. Enjoy. Fairtrade vs Rainforest Alliance; what’s the deal? We all like to do our part where we can and when it comes to coffee, we often find ourselves looking for Fairtrade, Rainforest Alliance, organic, guilt-free coffee. But do we really know what those fancy labels and certifications actually mean? Much of our coffee is from places all around the world where the environment is endangered and workers earn only a few dollars for a gruesome day’s work. 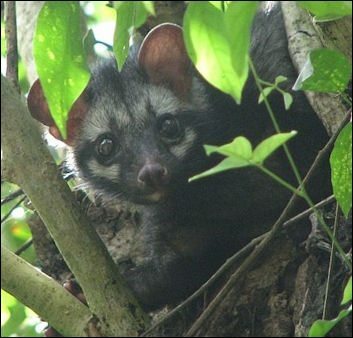 Coffee farmers have helped cut down tropical forests, and most of them use an abundance of pesticides. Not to mention, child labour is used far more frequently than you can imagine. Finding coffee beans with labels promising social and environmental improvements is not difficult, especially in a city like ours where niche cafes are as common as a girls in bikinis. So what is the best option; Fairtrade or Rainforest Alliance Certified? Fairtrade pushes for better wages, working conditions, local sustainability and FAIR terms of trade for farmers and workers in developing nations. Rainforest Alliance works towards conserving biodiversity and ensuring sustainable livelihoods by transforming land-use practices, business practices, and consumer behaviour. Both seem pretty decent, right? Let’s learn a bit more. Fairtrade is a worldwide organisation that aims to ensure that those who are creating the product are paid a fair wage for the work that they accomplish. Around 6 million people in developing countries benefit from the Fairtrade system. It provides them with a fair practice for the product that they sell and also provides for investment in their local community. One more thing: Fairtrade prohibits child labour – yay! When the product reaches the consumer – or in our case, when we buy our green beans – it is understood that there is a minimum price for each item. Goods can be sold for more depending on quality and demand, but never, ever for less. However, there is some criticism. Some believe it creates a quality problem, where even poor quality products are still sold, because that minimum price must always be reached. Others say that because there are such strict pre-requisites, that it is restrictive of which producers are able to enter. When it’s all said and done though, Fairtrade is still seen to be one of the most ethical trade systems available to the consumer. Rainforest Alliance is more focused on the environment. It has five areas of focus: keep the forests standing, curb climate change, protect the wildlife, alleviate poverty, and transform business practices. As you can see, the focus here is very much so environmental, with only some of the focus given to the production of goods. In regards to alleviating poverty, Rainforest Alliance claim the “Rainforest Alliance Certified” seal allows farmers’ products to reach new markets, negotiate better prices, and lift themselves and their communities out of poverty through investing the profit into their own community. 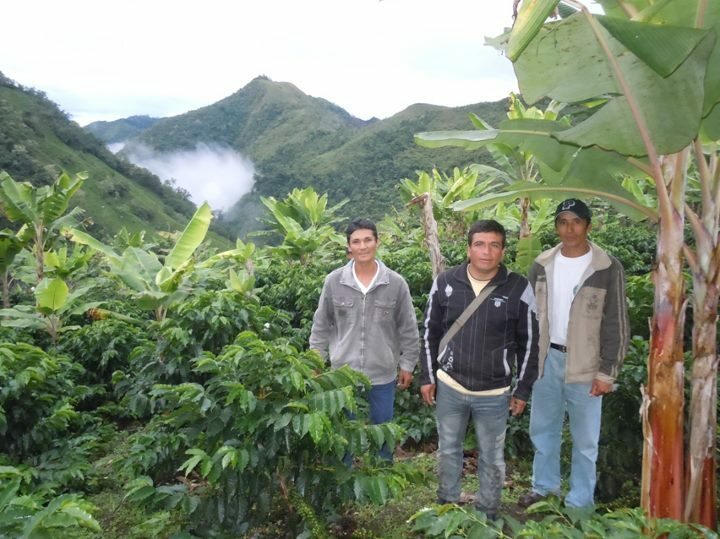 Being part of a Rainforest Alliance Certified farm also means that employees receive decent wages (the minimum being $2 a day), respectable housing and healthcare and their children having access to education. Like Fairtrade, Rainforest Alliance does have some criticisms too. It has been dubbed as ‘Fairtrade lite’, allowing companies to be seen as doing something ethical, but at a cheaper price. The Rainforest Alliance Certificate also doesn’t provide a minimum price for goods, meaning that those who are involved are exposed to the fluctuations of the market. The minimum price for employees is also seen as being set too low. Finally, for things such as coffee, the Rainforest Alliance seal is used on products that use as little as 30% certified beans… this means up to 70% of that coffee does not necessarily meet their standards. Personally, I don’t think one is significantly better than the other. Like everything, there are negative aspects. In this situation, Fairtrade has a lack of focus on the environment and quality control, while Rainforest Alliance maybe cares too much about the environment and not enough about its workers. However, products by both are good; great, even. Both are working towards a better world; a more sustainable world where the children and grandchildren of the workers are given much better starts in life. Come in and have a look at the single origins we offer at Quest Coffee Roasters – some of which are Fairtrade, and some are Rainforest Alliance Certified. Being a coffee roaster where we import our own green beans, we take great time and care in which coffee plantations our products come from. We all know coffee is a luxury, but appreciating the work that goes into each cup makes it even more special. By enjoying a Fairtrade single origin, you are helping a farmer make a living so that his family can be supported. Or by enjoying a single origin approved by the Rainforest Alliance, you are creating a more sustainable environment for the future generations. Both, in my mind, are equally important. For more information on how we, at Quest Coffee Roasters, help our friends all over the world, have a read of our other blog articles, or come in and chat with us over a beautiful cup of coffee. Here is our monthly Kiva update for you! We are super proud to share with you that this month, with your help, we have raised $144.65 for Kiva. This has enabled us to help fund micro loans to another 6 people, helping a total of 9 so far. Please read below for more info on the profiles of the people we support. Liem was born in 1977 and joined M7-MFI’s forerunner program in January 1998. Her family consists of her husband, two sons and herself. They live in Mai Son district, Son La province.Her family cultivates 1.2 hectare of corn and 2000 square meters of rice. The income is just enough to cover the family’s living expenses and save a small amount of money. She has to spend money on her children’s education and her savings is not enough to buy corn for the next crop. She will work hard to get money to repay the loan on time, and hopes that the loan will help her to buy good corn and then it will bring her family an abundant crop. José Andrés, age 39, grows organic coffee that he sells through COCAFCAL [a coffee cooperative]. José Andrés is married to Sandra, and they have four children who are completely dependent upon him. José Andrés dreams of giving his children the best that he can, and he wants all of them to have an education. José Andrés has been growing coffee for ten years, and it has become the foundation of his finances. “Coffee is the best that we can have in this area,” he says. Last year José Andrés lost one hectare of his coffee farm due to an attack of the ‘roya’ fungus. He wants to replant that land to begin the production again as soon as possible because it is his only source of income. José Andrés is now requesting a loan in order to be able to cover the expenses of replanting the land that was affected by the roya. 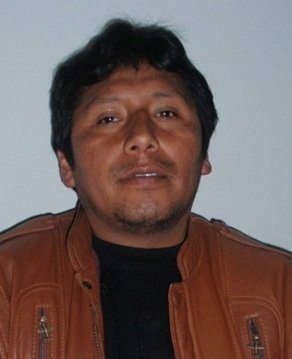 He will use the loan to buy plants, organic fertilizer, organic supplies, and to pay the workers. 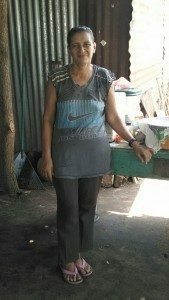 Magdalena is a 46-year-old woman, is married and lives together with her two children, aged 19 and 24 years, in a community of Nahuala. 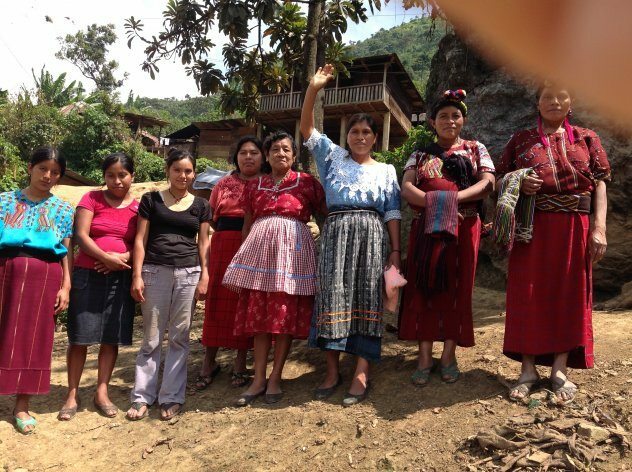 Magdalena (the first on the left side of the photograph), with the desire to earn income and provide for her children, has made a living selling coffee for the last 12 years in a place called Pochol. 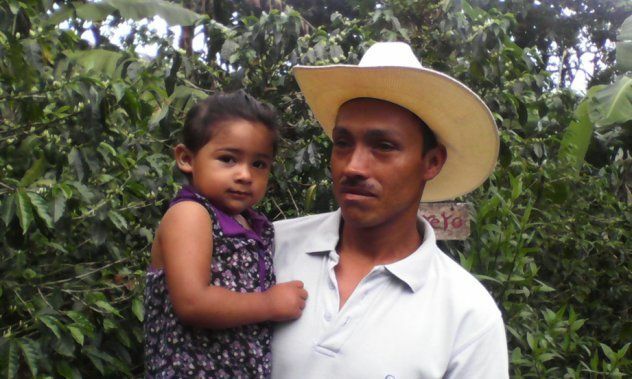 In order to maintain several coffee plots that she has cultivated for some time, Magdalena needs a good quantity of money in order to be able to acquire her fertilizers and pay for labor. However, one of the difficulties that she has is that she does not have sufficient capital. 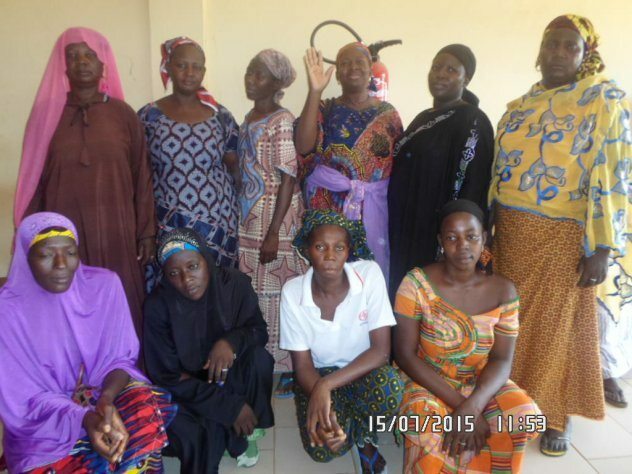 For this reason, she organized a group of women so that together they can request a loan and invest the money according to their needs. 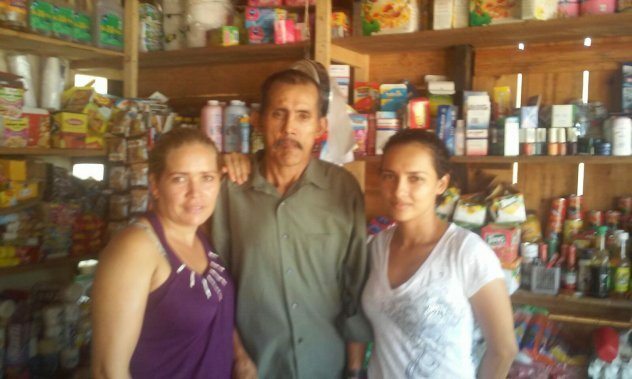 Magdalena’s great dream is to set up a store selling groceries in her house in order to improve her income. Judith has a strong conviction in her mind that in order to succeed, she must work extra hard and always stay strong and positive in the face of any adversities that may arise. Judith is a 43-year-old farmer from Kibiricha village where she practices dairy farming. Judith and her husband are celebrating their 20th anniversary this year! The couple is blessed with 3 children. Judith’s main source of income is milk. She co-owns a four acre land that they use to keep three dairy cows. Recently, one of her cows delivered a calf. Judith is afraid that the upcoming rainy season will be harsh on her calf who does not have a shelter. She is appealing to Kiva lenders to lend her a loan to construct shelter for her animals. 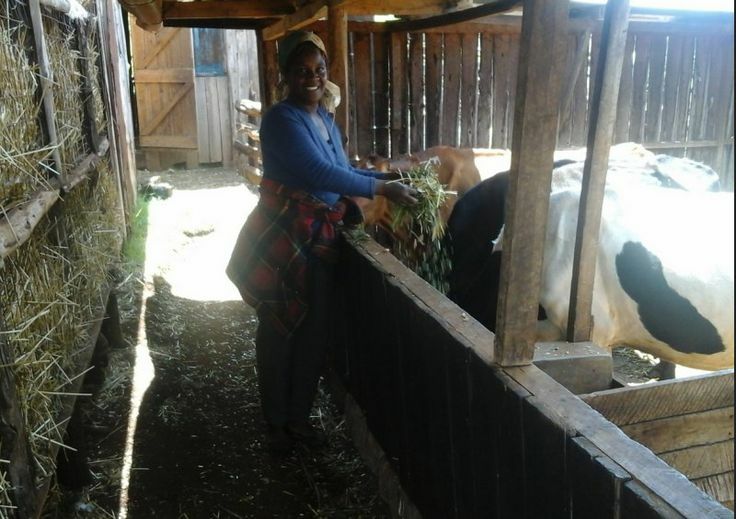 Your investment will help Judith build a pen that will provide a comfortable and conducive environment for the proper development of her calf and that of future calves. Yesica is a 19-year-old young woman, single, with no children, and her business is selling traditional drinks. She is enterprising, happy, optimistic, cheerful, has a positive attitude, is responsible, and very hard-working. 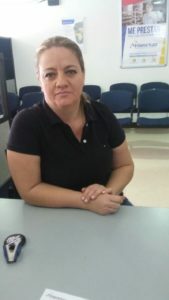 Her business is located in a sales stall outside her house, located in the southern area of the city, where the beaches of the Piraí River are located. There, are the huts that offer traditional food to eat such as majadito (dried meat), patasca (baked pig’s head), and locro (a mix of meats with corn), among others. The flavorful “horneaos” are also sold, ideal to accompany coffee in the afternoon. It has a warm sub-tropical climate with a constant temperature of approximately 30 degrees centigrade during the whole year. 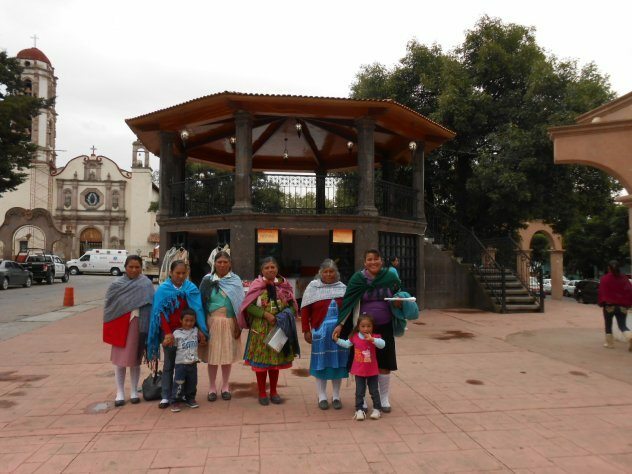 Yesica’s native language is Quechua which she speaks in her family and she speaks Spanish due to the general culture and for the work she does (she is third from the left). She has her life in her parents’ house, who work in a business in the market. They live in a house they own, built of wood with a dirt floor which has drinking water, electricity and sewer service. Her desires to improve herself brought her to lead a bank of people with business such as tomato sales, sewing shop, second-hand clothing sales, woven products, fish sales, construction service, and making mattresses, to ask for a loan and improve their businesses. Her business is the sale of traditional drinks from the area such as mocochinchi (made with boiled dried peaches), chicha (prepared with a corn base), somó (similar to chicha but includes boiled corn), and more. “My business continues improving, the previous loan allowed me to start, now I need to improve…” she says. The advantage of her business is that it has regular customers. The disadvantage is the lack of money to improve the business. Her dream is to have a large food stand where she can offer a variety of traditional food and drinks. She wants to invest in the purchase of tables and chairs to be able to serve more customers. This is her 3rd loan cycle with the institution in the 6 years she has been doing this work. For these reasons, Yesica asks for a loan to purchase tables and chairs to be able to serve a larger number of customers and improve her sales. 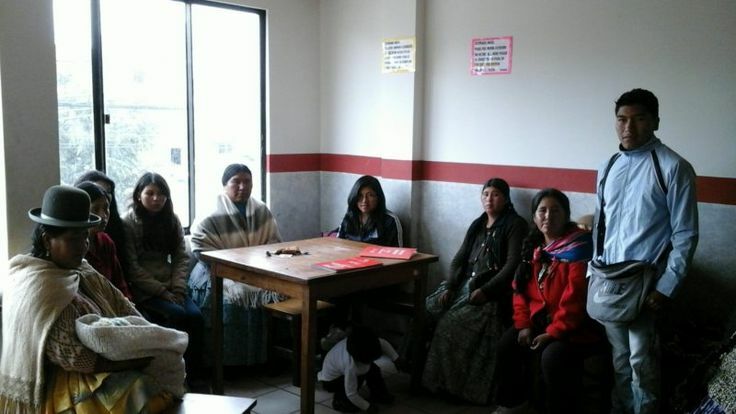 The communal bank “Violetas” will be starting its sixth term in Pro Mujer, part of the business center of Los Andes. It is comprised of nine members and run by a directors board where Flora is the Secretary. The members of the communal bank run a wide variety of businesses, selling everything from wool sweaters or shoes or jackets to fried snacks and other foods. This loan will benefit all of the small business owners in Flora’s group. She herself has been a member of Pro Mujer for two years and joined at the invitation of a friend who was a client of the institution. She currently runs a business selling salchipapa, a typical snack of sausage and fried potatoes. She began this business on her own initiative. She plans to use this loan to expand her capital through the wholesale purchase of potato and sausage, which she will get from the wholesale vendors in the city of El Alto. She will then use this material to make and sell salchipapa in her sales space. This work allows her to generate enough money to support her family economically, as she is single and has eight children. With the richness of the coffee taste comes a rich history. Coffee has been in existence for thousands of years and has an interesting history that is full of tradition. Its discovery can still be considered a mystery and there are many legends and stories that tell how coffee came into popularity. It has been said that the first coffee plant originated in the Horn of Africa. 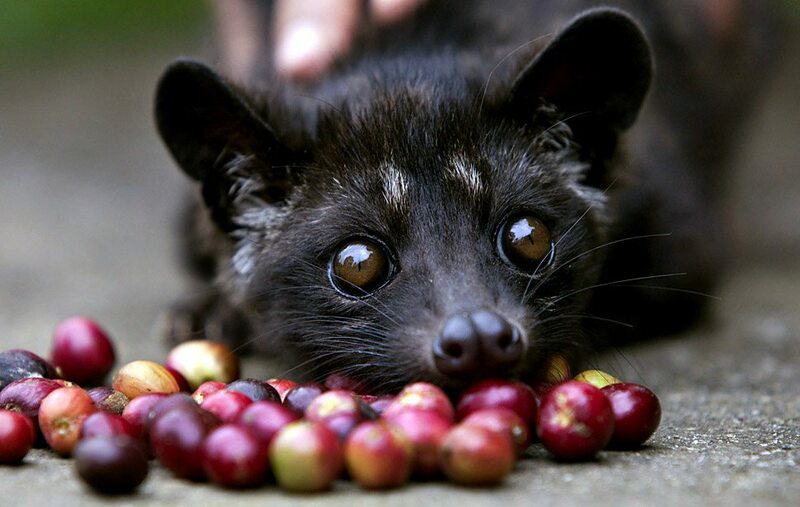 The native tribes would grind the coffee cherries and then mix it with an animal fat. This mixture would then be rolled into small balls and given to warriors as a source of energy. Coffee has also gained a mystical reputation with many legends attached to its origin. One of the popular legends dates back to around 800AD, which said that an Ethiopian shepherd named Kaldi saw his goats beside a shrub that had red fruit. He noticed his herd dancing from one coffee shrub to another, grazing on the cherry red berries containing the beans. He copped a few himself and then found himself frolicking with his flock. 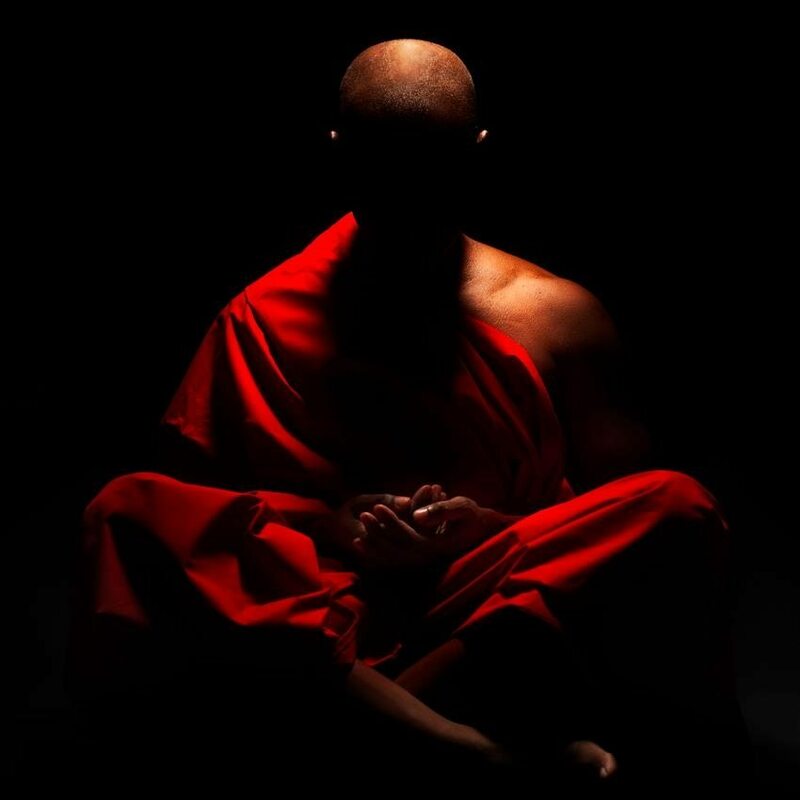 A monk who witnessed this then plucked berries for his bothers and that night they were uncannily alert to divine inspiration. 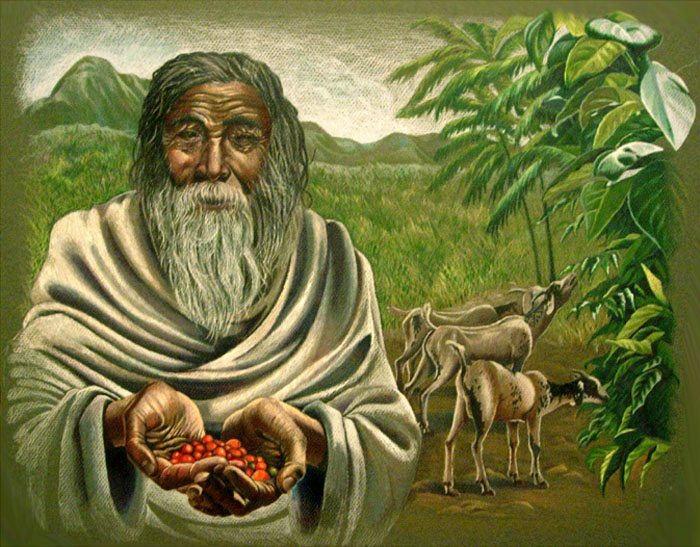 The history of coffee; Kaldi and his dancing goats. Aside from that, coffee’s origin can also be found in historical writings. Cafes were seen in Constantinople at the time when Columbus was starting his exploration in the world. It was during the 15th century when the cultivation of coffee began. During this time, the province of Yemen in Arabia was the only source of coffee in the world. The plants there were highly guarded and even prohibited to be taken outside the country. Despite this, Muslim pilgrims still smuggled the coffee plants out of the country. The coffee was then established in India. In 1530, the first coffee house was opened in Damascus (now known as Siria) and not long after, there were many coffee houses in Cairo. Venice merchant traders took coffee to Italy and then Europe opened its first café in 1645. 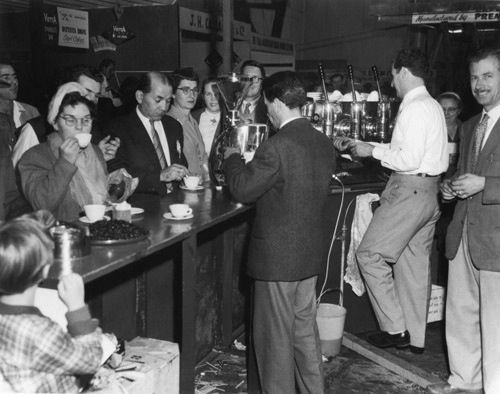 Not long after that, coffee houses became widespread in Europe as many Europeans became hooked on coffee. It gained so much popularity that even street vendors started selling it. The Dutch presented it to their colonies in the 17th century. 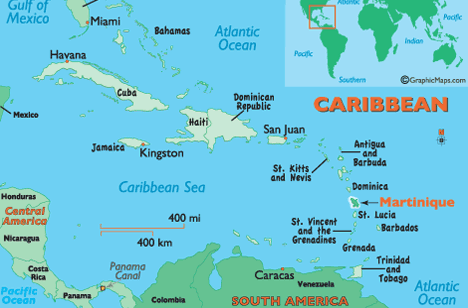 Eventually, coffee plants were transported by the Dutch to the East Indies and to the Americas where the french were the first people to plant coffee seedlings in Martinique, an island in the Caribbean. 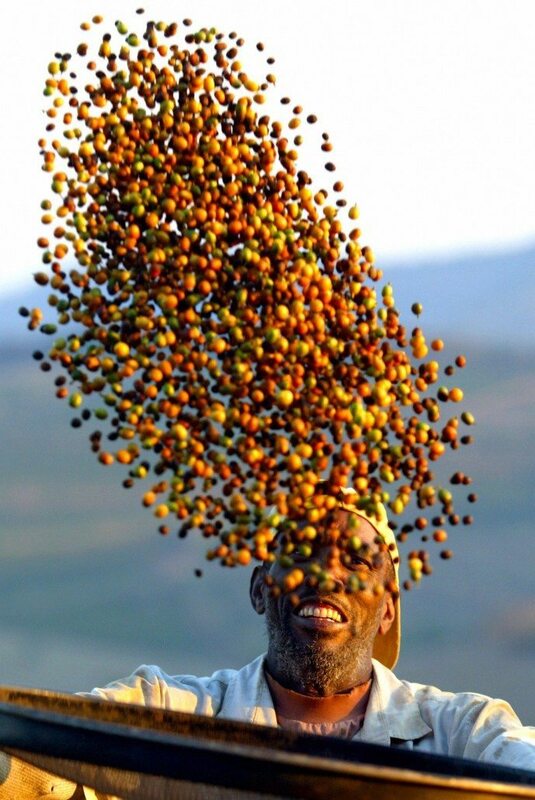 Those sprouts flourished and 50 years later there were 18,680 coffee trees in Martinique enabling the spread of coffee cultivation to Haiti, Mexico and other islands of the Caribbean. Australians are considered one of the greatest coffee lovers in the world. It has been proven by the existence of many cafés in the country. It was during the late 19th century when Australian coffee began to grow commercially. It even won awards in London in the 1800’s. The history of coffee in Australia. Due to the high cost of labor, the industry was not able to compete with the prices of coffee in Africa, Brazil, Indonesia, and Central America. This caused a slight decline in the Australian coffee industry. This situation didn’t last long though. In the early 1980’s, the coffee industry was re-established. 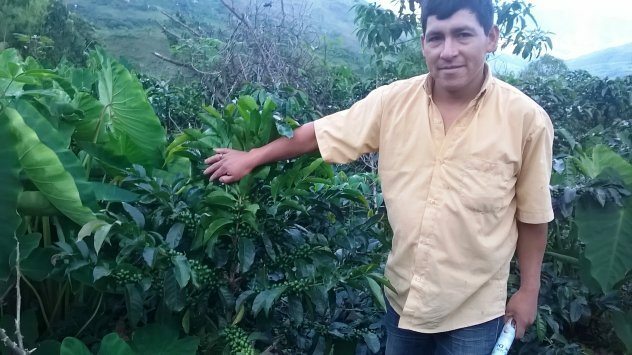 With the help of machine harvesting, the growers had an opportunity to reduce the harvesting cost, thus enabling them to compete with imported coffee. Australia, due to its geographical location, can only grow Arabica coffee. This blog post is the first in our series of “How-To’s”, so make sure you keep checking back for more handy tips on how to get the best out of your home brewing experience. The Toddy Cold Brew System is designed to make “cafe” caliber coffee which can be served hot or iced cold. The traditional hot brewing method creates a higher level of acidity in coffee, which can be difficult for coffee connoisseurs who have a sensitive stomach. In 1964 Todd Simpson, a chemical engineering graduate, developed and patented this cold brewing system. 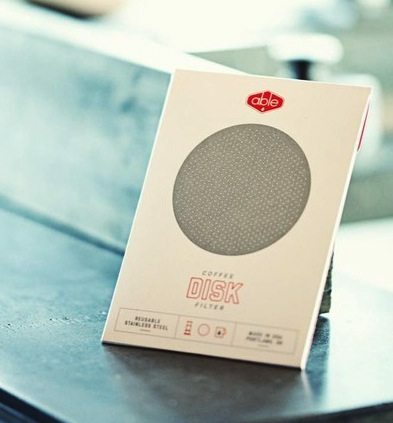 It uses regular coffee beans and yields a superior tasting cup of coffee and acidity levels are reduced by an amazing 67% compared to traditional hot brew methods. The coffee that is produced is bold, yet super-smooth. The Filters should be replaced after 10-12 uses, or after 3 months. For the best flavour, start with plunger-ground coffee beans and filtered water. The toddy brewing container is designed to hold 12 ounces of coffee and 7 cups (56 fluid ounces) of water. For the perfect brew, steep your coffee grounds for 12-18 hours to create a smooth, rich flavour. After you have filtered and let your coffee concentrate flow into the decanter, it will stay fresh for up to 2 weeks in your refrigerator. To serve, we recommend the following recipe: in a 500ml jug, fill 1/4 ice, 100ml coffee and 150ml milk (if desired), then top with filtered water. ENJOY! See below for easy, step-by-step instructions with pictures. Are you an early bird needing your take away caffeine fix just to make sure you can function during a hectic day? Or do you enjoy kicking back, relaxing at your favourite café on the Gold Coast sipping a double ristretto latte, while catching up with friends in the afternoon sun? We sometimes forget that the café and coffee culture we now see as normal is really only a thing of the last five years on the Coast. New cafés and espresso bars are popping up everywhere and we are now able to enjoy their offerings of complex blends and outstanding single origin beans from exotic places like Guatemala, Ethiopia, Sumatra and Bolivia, with complicated estate names and abbreviations. The beans are roasted to perfection by a master roaster who takes great care to get the best flavour and balance of body and acidity in every batch of beans. The specialty coffee industry has definitely moved into the Gold coast and it shows no signs of going anywhere soon. 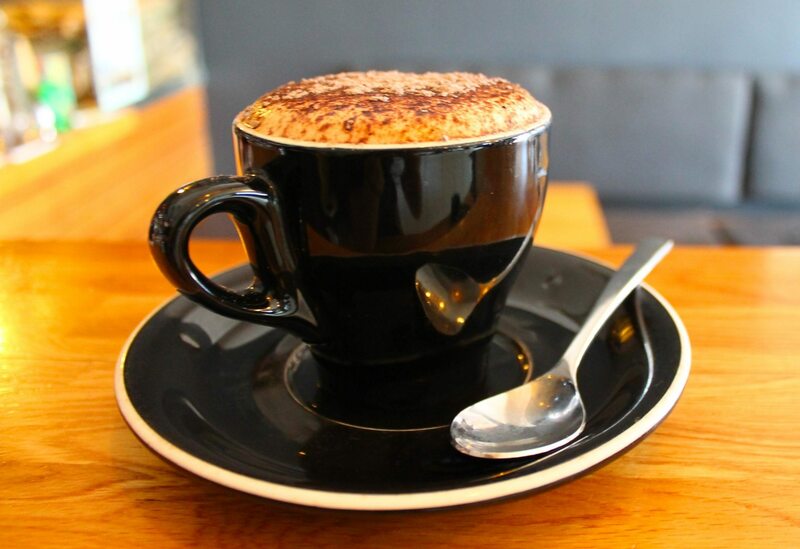 With so many cafés on the Gold Coast, why is it still so hard to find a good coffee that doesn’t taste like it’s burnt? First we need to get clear on what yucky burnt aftertaste actually is. The official term for that bad tasting coffee is “over-extraction”. Some people might suggest it’s burnt milk, but milk actually smells like…well, burnt milk. You can recognise burnt milk for its sweeter taste and much thinner, less creamy texture. Anyway, let’s just get technical for a bit. 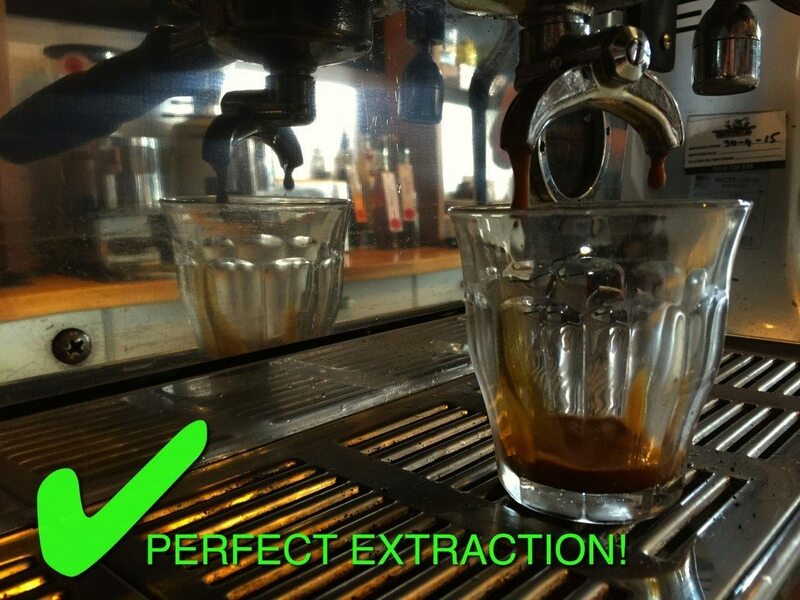 What does extraction even mean? ‘Extraction’, according to the very trustworthy WIKI, is “the percentage of the soluble coffee grounds that are dissolved in the water”. We also have to take into account which solubles are dissolved but, this has more to do with how the temperature changes over the course of the extraction. The ideal extraction yield sits around 18%-22% to get a well-extracted beautiful coffee. An over-extracted coffee tastes burnt because the bitter parts of the coffee have continued to be extracted after the sugars and acids extraction were mostly finished. 3. Last but not least, the biggest culprit and the one that is so very easy to avoid, a dirty and badly maintained espresso machine. 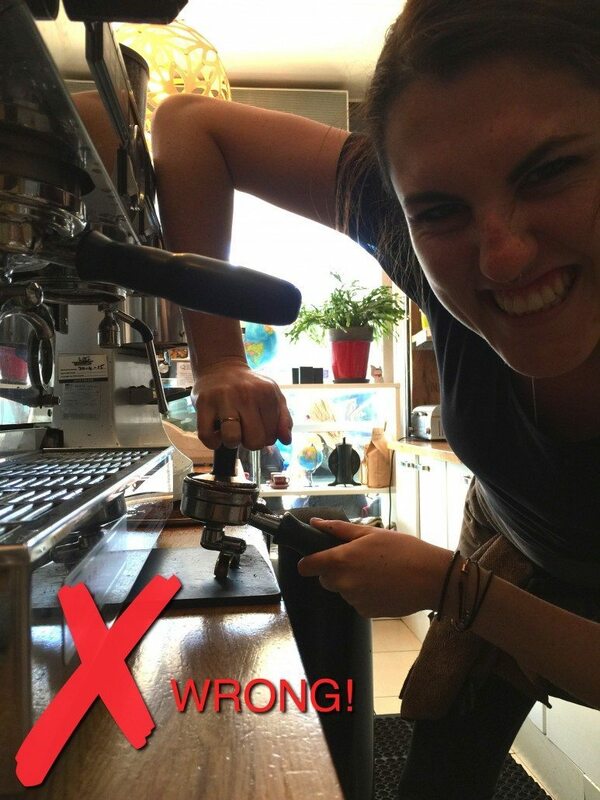 Even the best barista has no hope of making anything half decent and consistent when the equipment they are working with is not serviced regulary. Now that you know (and hopefully understand a little) of the science behind the extraction of great and not so great coffee, you can imagine the reasons why some baristas have an almost cult-like following. These baristas can extract the perfect coffee over and over again and create the perfect espresso, or the base for your favourite coffee to be enjoyed on the run or while relaxing and enjoying that great Gold Coast weather. 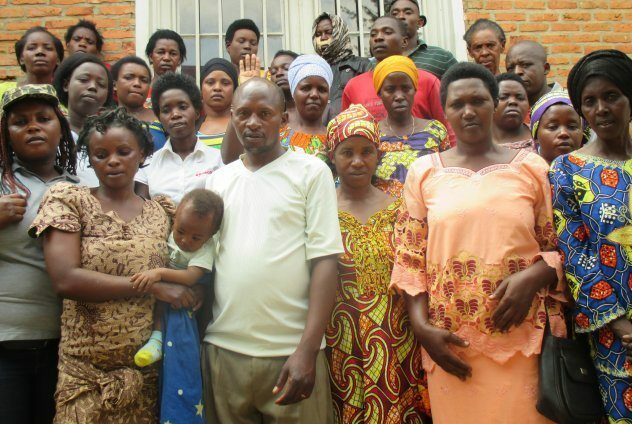 Here is our monthly Kiva update for you! We are super proud to share with you that this month, with your help, we have raised $125.20 for Kiva. This has enabled us to help fund micro loans to the 3 people below. Roselyn is 46 years old and has six children. She is married, and one of her children is in school. Roselyn is in the agricultural business, raising livestock in the Philippines. 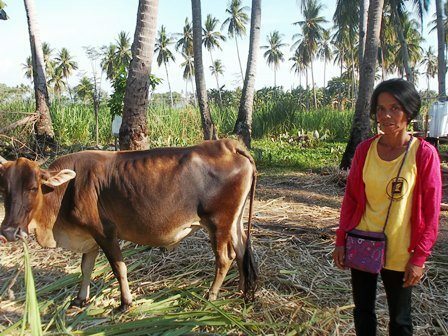 She requested a PHP 25,000 loan through NWTF in order to buy feed and other supplies to raise her livestock. Roselyn has been raising livestock for twenty years now, and has borrowed four times in the past from NWTF to sustain her business. In the future, Roselyn would like to save enough money to expand her business. Elmer, aged 29, lives with his wife and his young son in his own home in the Cañaris district, a farming and livestock community located in the Ferreñafe province of the Lambayeque region on Peru’s northern coast. 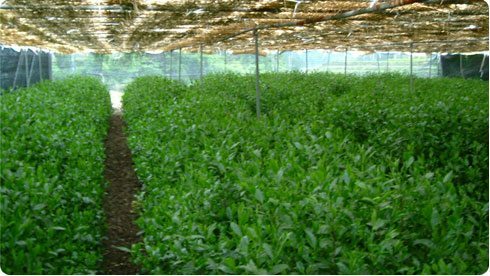 He has been growing coffee for the last 10 years, and has regular clients who have given him good personal and professional references. 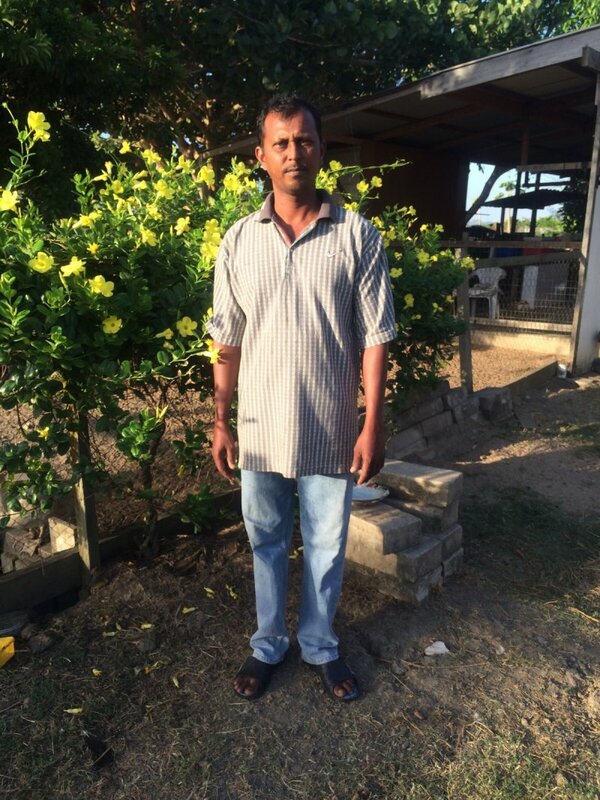 The loan will be used to buy plant food and fertiliser for his crops, and to pay for labour during the harvest, which he hopes will allow him to offer his clients a better product, increasing his earnings so that he can improve his family’s quality of life. Rosa began working with her father at the age of 6 years. She worked in the fields using a machete. Rosa worked harvesting cardamom and coffee but the work was too hard. 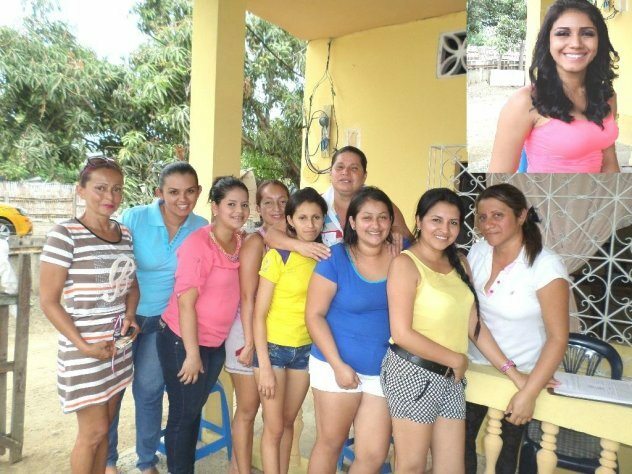 She was one of 11 siblings – 6 boys and 5 girls – she said she does not remember her father. 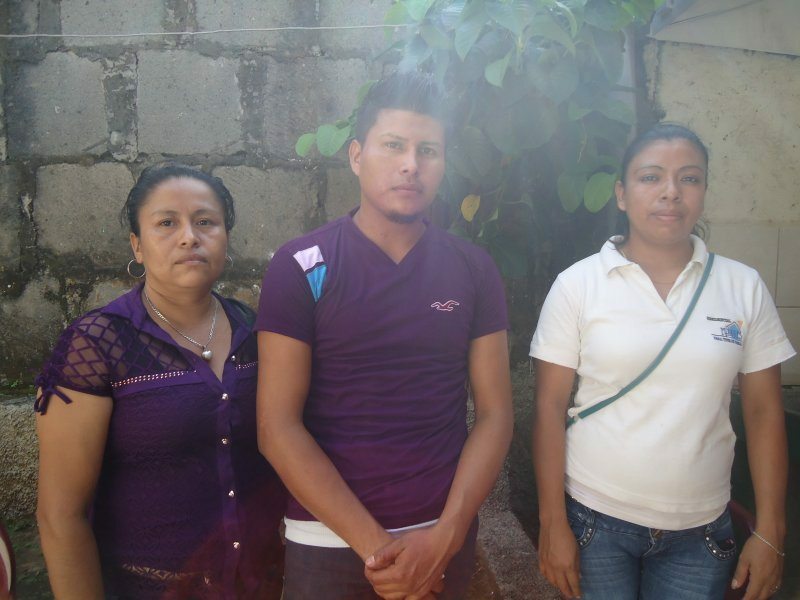 Rosa has been using the credit from Kiva Partner Asociación Chajulense de Mujeres – Unidas por la Vida for two years, and is getting now her third credit. She used her first credit to initiate a store for selling vegetables. She also invested in pigs and fattened them up. With her second credit she began selling other products in her store and continued buying and fattening pigs. Now, with her third one, she will use her credit to expand her store and use part of the credit to continue fattening and selling pigs. 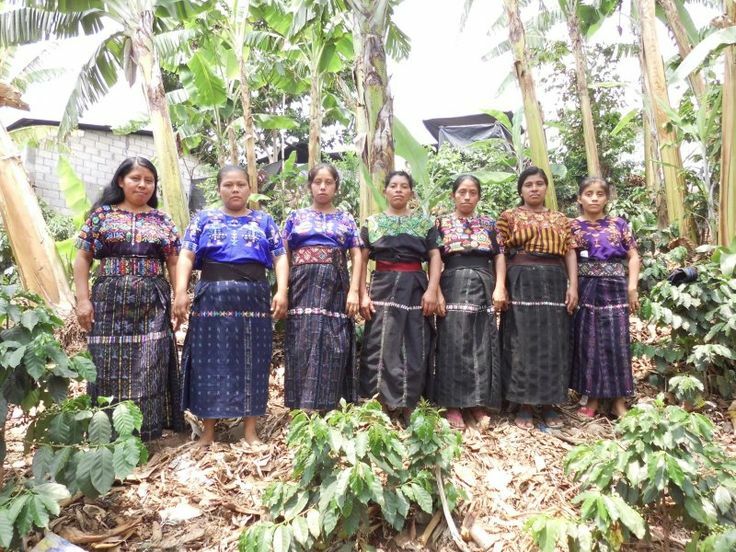 Rosa considers that the financial help that she obtains from Kiva and the Association of Women United for Life has given her the opportunity to contribute, with her husband, to achieve better health, feeding and education for their children. Rosa is the leader of Mango Group 3 (Mango Fruit). 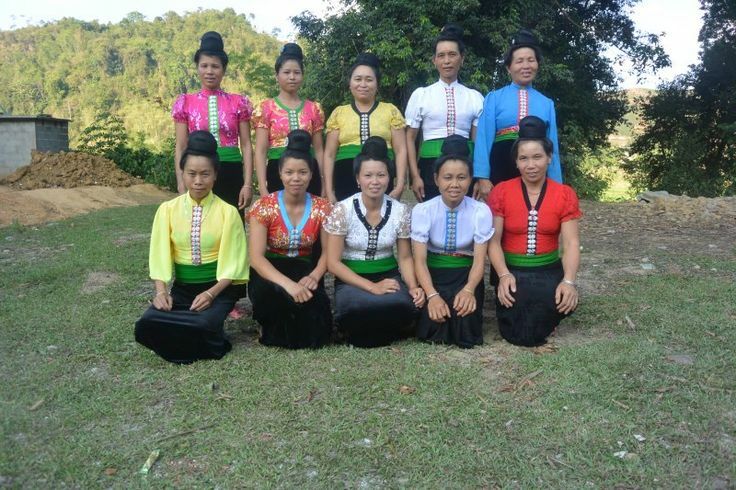 The group is formed by 9 women – average age is 38 years and in average they have 4 children. The average amount of the group loan is Q 3,289. The group will invest their credit to expand their stores that sells vegetables, staple goods, or chicken meat. If you visit the social media pages on specialty coffee on a regular basis, you may be familiar with the phrases “Death before Decaf”. These phrases are mostly accompanied by a photo of a diehard espresso drinker who has the text inked into the skin of their bicep. Or you may have seen the hipster barista at you local coffee shop pull up an eyebrow when asked for a decaf. This is the drink that is also referred to as “the why bother”. So we can conclude decaf is uncool, a coffee that is missing its most vital ingredient, CAFFEINE. It’s obviously something the drinker should be a little ashamed of. 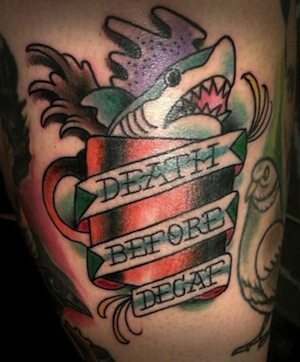 People rather die than drink decaf right? Wrong! Whether you like it or not, we are currently witnessing a serious increase in decaf consumption. It is a trend that started not too long ago, possibly due to intolerance of caffeine in general, health reasons, pregnancy or people trying to limit their intake during the later hours of the day to not disrupt sleeping patterns. Some coffee lovers still want to enjoy the taste of their favourite beverage, so decaf is on the rise. As there are many opinions about the good and bad of decaf, there seems to be equal amounts of confusion about the health benefits and the way it’s processed. There are a couple of different standards worldwide with the US guidelines stating that coffee needs to be 97.5% caffeine free before it can bare the label decaf. The standard in Europe sits at 99.9%, so on and so forth. The decaffeination process has come a long way over the years. You can now enjoy the benefits of the Swiss Water and Mt Water Processed Decaf that gets rid of 99.9% of the caffeine and is certified organic. A lot of people still refer to the Roselius Process. Roselius’ method used benzene, which is a cancer causing chemical and therefore no longer commonly used. If you want to find a really great decaf using the Mt Water Process, click here. 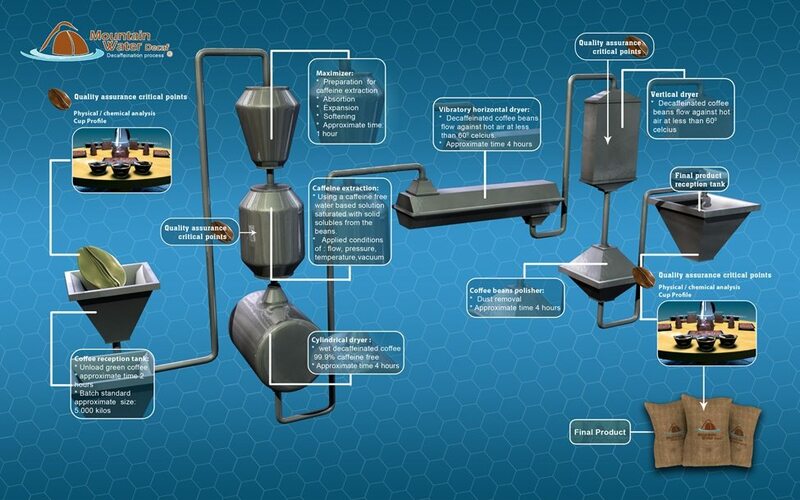 Here’s a flow chart of how the Mt Water Decaffeination Process works. When decaf was first developed, the process was harsh and stripped away a lot of the preferred flavours and aroma. The process these days is a lot more refined and we can preserve the delicate tastes in a bean all through the decaffeination and the roasting process. Decaffeinated beans go stale like other caffeinated coffee, and we see a lot of problems with cafes over-ordering decaf and letting it sit too long on their shelves. Rumour has it there are some cafes on the Coast that think it’s acceptable just using the last part of the shot to make an espresso coffee “decaf”. This results in a poorly extracted shot and a coffee with just below caffeine levels, but nothing close to decaf. Most of the health benefits from coffee come from the antioxidants part of the polyphenols contained within the coffee. The level of caffeine within the coffee doesn’t make a difference to that, neither does the decaffeination process. So do yourself a favour. 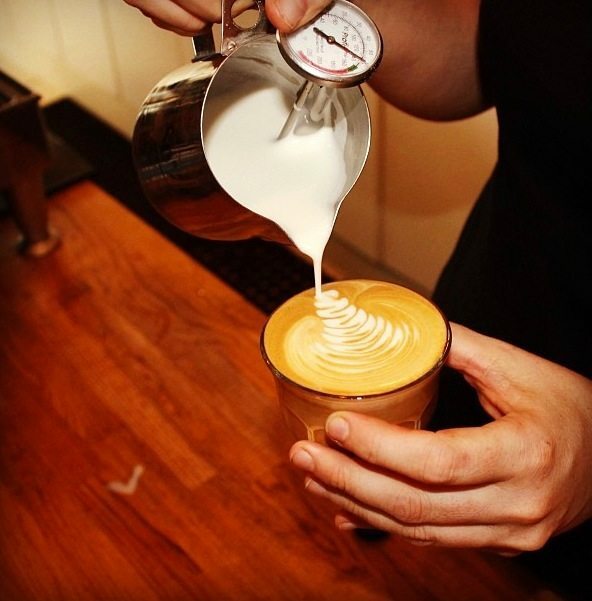 Come on in to our James Street, Burleigh Heads, café where we serve a beautiful Mt Water Process organic decaffeinated coffee made with organic Barambah milk (or non dairy option) and have happy baristas that love making it fresh. You can sit back and enjoy a coffee at any time of the day. 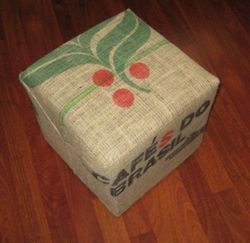 What happens to the Hessian (Burlap) Coffee Bags that transport our amazing beans from locations all over the world? Well, we are big on doing our part for the environment and recycling where we can, so we on-sell these beautiful printed bags to our customers, with half of the proceeds supporting KIVA. The bags not only come with a history, but some of them have beautiful stamped lettering from the region that they came from. There are many crafty ways to re-use burlap coffee bags, giving them a new life. A couple of ideas that come to mind are curtains, tote bags, planter pots, seat covers, cushion covers, aprons, pencil roll, and many more. We have shared a few photos in this post to help inspire you and there are many more creative ideas on our Pinterest page so make sure you pop on over and follow our boards for lots of inspiration. 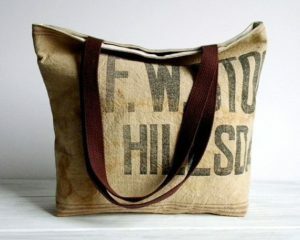 Beautiful tote bag made from recycled hessian coffee bags. You want to get started on a project right away? Click here to see the different bags we have on offer online for you, or you are more than welcome to come into our James Street Cafe in Burleigh Heads (Gold Coast) and pick some from the stacks we have available. We are open daily from 6 am to 4pm and we do a pretty great coffee too. Half of the proceeds of these bags are used to help KIVA. You can read all about the great work Kiva does in this blogpost. And if you decide to make something, make sure to let us know. We love to see what people do with them and share ideas around. At Quest we like to help out where we can so when our lovely customer Lauren gave us the idea to have a look at the work that Kiva does, we jumped right in! Instead of receiving “tips”, we have a collection jar in our cafe as well as donating 50% off the profits off every hessian coffee bag sold to this, this enables us to help support this incredible movement. Kiva are a non-profit organization with a mission to connect people through lending to alleviate poverty. Leveraging the internet and a worldwide network of microfinance institutions, Kiva lets individuals lend as little as $25 to help create opportunity around the world. Kiva envisions a world where all people – even in the most remote areas of the globe – hold the power to create opportunity for themselves and others. They believe providing safe, affordable access to capital to those in need helps people create better lives for themselves and their families. Here is a little video that explains why we feel this is a great organisation. Making a loan on Kiva is so simple that you may not realize how much work goes on behind the scenes. Kiva works with microfinance institutions on five continents to provide loans to people without access to traditional banking systems. One hundred percent of the loan is sent to these microfinance institutions, which are called Field Partners, who administer the loans in the field. Kiva relies on a world wide network of over 450 volunteers who work with their Field Partners, edit and translate borrower stories, and ensure the smooth operation of countless other Kiva programs. 100% of every dollar loaned to Kiva goes directly towards funding loans; Kiva does not take a cut. Furthermore, Kiva does not charge interest to their Field Partners who administer the loans. Kiva is primarily funded through the support of lenders making optional donations. They also raise funds through grants, corporate sponsors, and foundations. The work that Kiva does has touched the lives of so many people. Here is a link to their website if you would like to see more information or would like to support them directly. We will have monthly blogposts to keep you up to date with projects we are supporting and how much money we have raised so make sure you check back here every now and then. If you’re reading this, then you already know about our blog and perhaps we’re already so connected, we know what’s going on in each others worlds and our relationship is all next level. But if you’re here and it’s your first time checking us out online, we want to stay in touch and ‘connect’ with you over our common love of great coffee! First up, be sure to sign up for our newsletter below. We promise to only send you good stuff and we never ever share/give/sell your deets to anyone else, it’s purely for us to keep you up to date with Quest happenings and make sure you don’t miss out on awesome offers and competitions. Is your face on the book? If so, come on over and ‘like’ our page. We have a lot of fun and if you scratch and sniff your screen, you can almost smell our coffee! Quick, hit ‘like’ now, it’s not the same without YOU! We LOVE capturing our coffee, cafe and community on camera so join us on IG and check out our latest snaps. We love to see yours too so be sure to tag your pics #questcoffeeroasters or find us on @questagram so we can check them out and LIKE them. 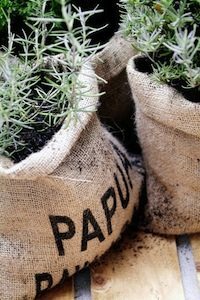 If you are a pinner on Pinterest make sure to follow our boards with different ideas on how to creatively use those pretty hessian bags and all other things coffee related. Want to SEE & HEAR us, then you better pop over and subscribe to our channel here. Ok so now that we have our connections covered, we look forward to chatting with you, giving you cool comps to enter and of course, sharing quirky Quest stuff! See you instore or online soon.